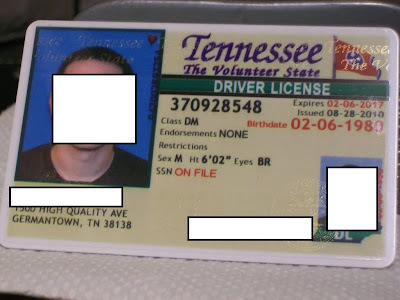 Over the years, I've been actively researching the money mule recruitment epidemic, providing actionable (real-time/historical) intelligence on their activities, exposing their DNS infrastructure, offering exclusive peek inside the Administration Panels utilized by money mules, emphasizing on current and emerging tactics applied by the individuals orchestrating the final stages of a fraudulent operation - the cash out process through basic risk-forwarding. 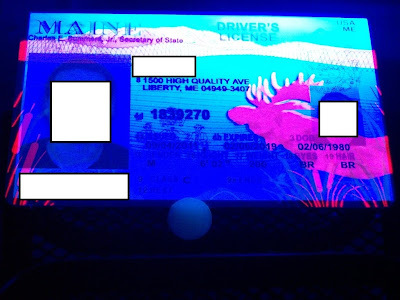 In this post, I'll profile a novel money mule recruitment scheme, that involves high profit margins -- of course for the ones organizing the scheme -- through a direct, and most importantly, (pseudo) legal brand-jacking of a gullible business owner's brand name, enticing him/her into opening a merchant account for processing E-commerce transactions, coming from more gullible and socially engineered mules. 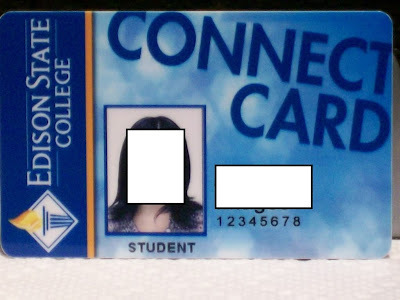 Those who reply are kindly asked to open a merchant bank account using their own company data, and assured that, despite the fact that the Web site which will be selling the bogus 'research articles' will be using their (legitimate) business brand's name and contact details, they will still receive their 5% commission on a 200,000/250,000 EUR in anticipated revenue, which would naturally be coming directly from other mules participating in the fraudulent scheme. 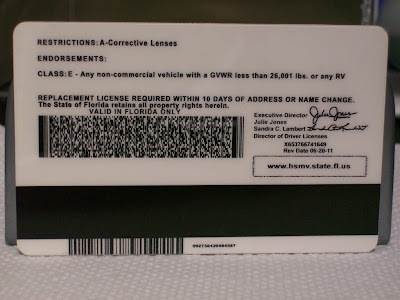 Moreover, despite that a business owner will have his company brand, logo, contact information listed at the Web site, he/she will have zero visibility to the non-existent purchasing process of this research, as "all customer service, sales, technical logistics, etc. 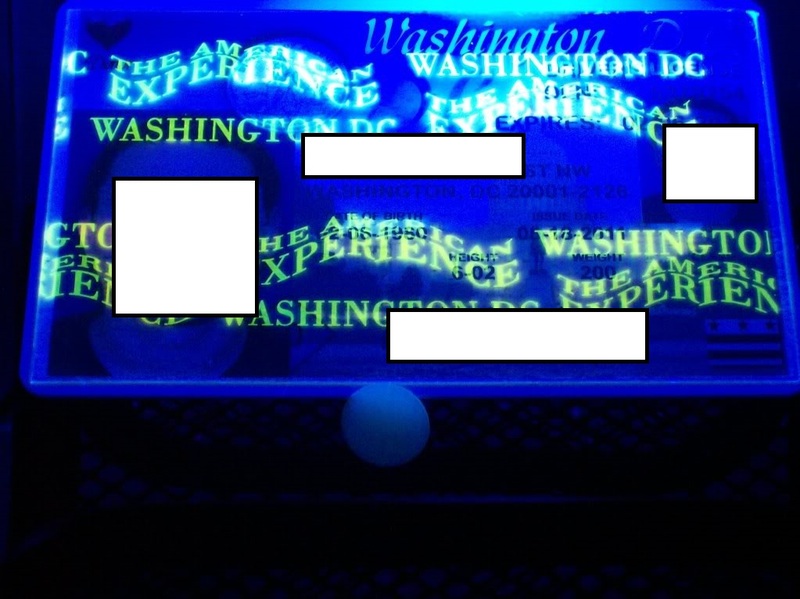 are to be handled by us." Why would a potential cybercrime syndicate want a socially engineered business owner to open a merchant bank account using his/her own data? 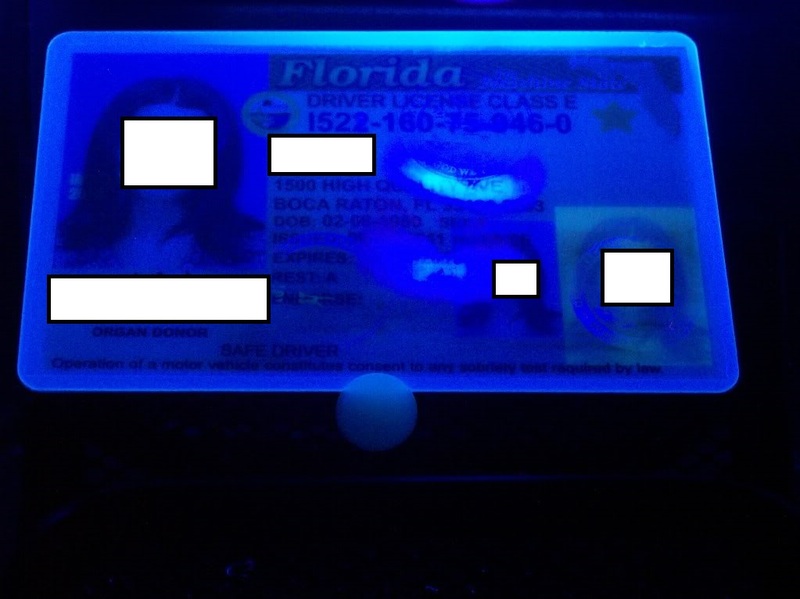 Pretty simple. 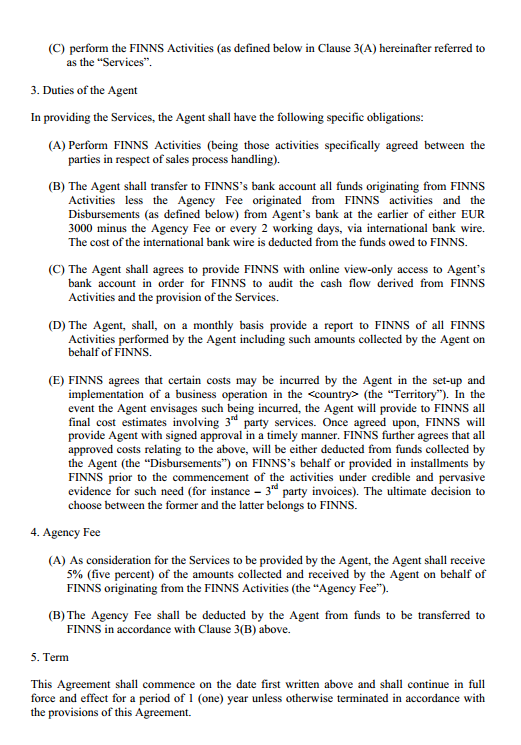 In my previous research on the standardization of the money mule recruitment process, I emphasized on how money mules are often vetted through online-based surveys, which always ask important from a mule recruiter's perspective question, such as - when did you you first open your bank account, and do you have any limitations on incoming/ongoing monetary transactions on it? However, an established company would always benefit from the trust it has already established with its financial institution/service of choice, meaning that, it will not only get its merchant account open, but also, will successfully pass the majority of verification protection mechanisms for high volume transactions put into the place by the financial institution/service in place. 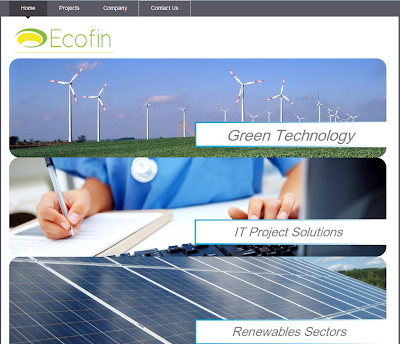 We are a company involved in development, branding and launching of several web media and IT projects involved in consulting on green technology, renewables and alternative energy sources. Several of the projects are being currently launched online and each one will need to have a card payment interface. 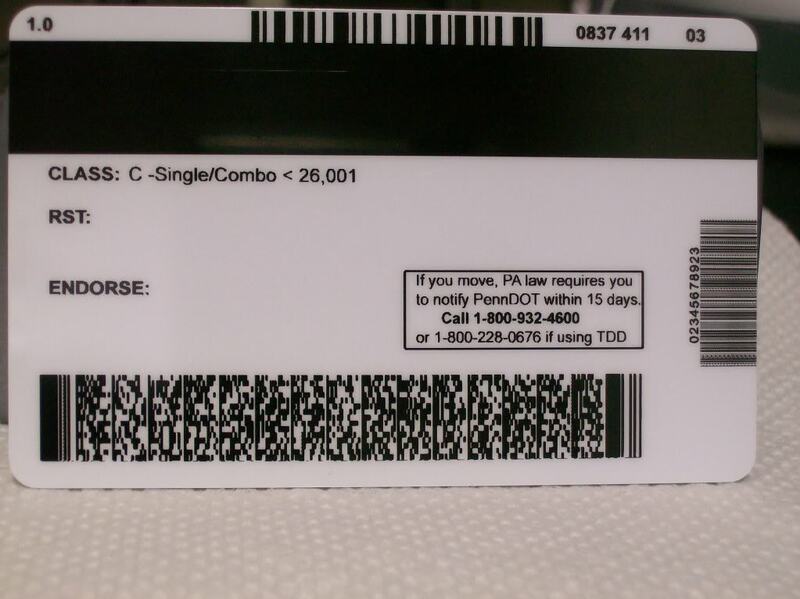 This collaboration refers to opening a merchant account for online credit card acceptance (E-commerce). 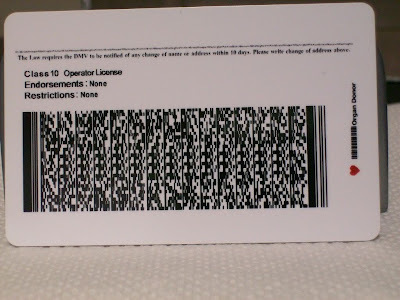 We would need your company to open a merchant account for card acceptance and handle the receivables derived from the sales generated by each project. 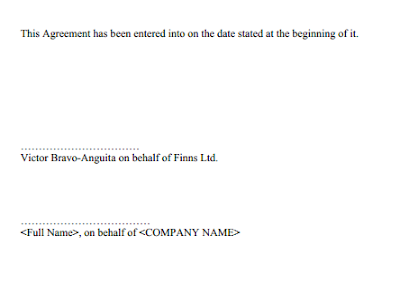 A bank/payment provider will facilitate data needed for website integration with their E-commerce payment gateway. 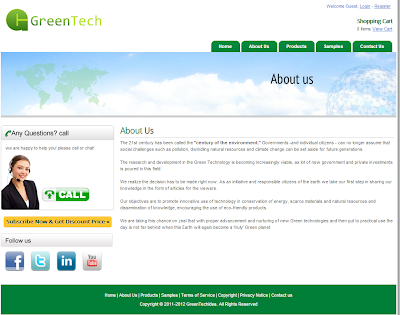 We will handle the technical side of such integration in full. 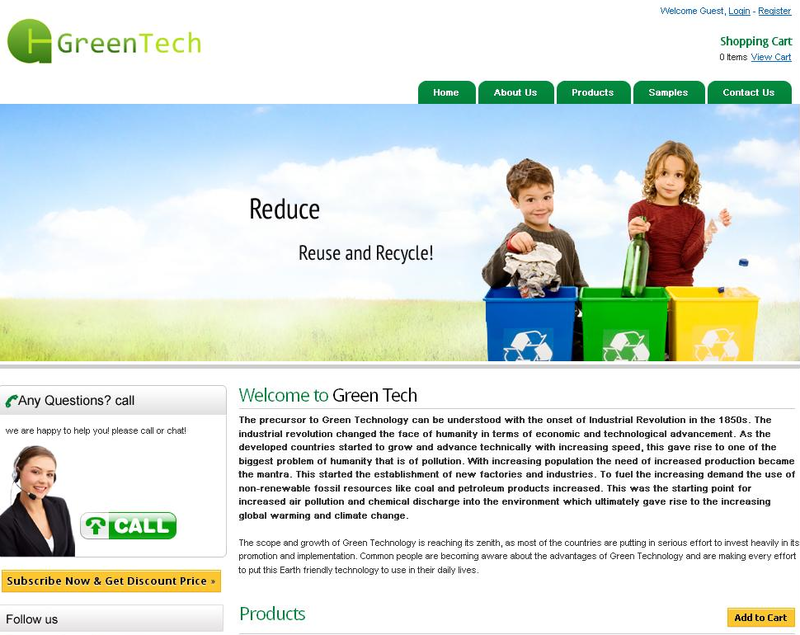 We will brand the website under your company, therefore the administrative company data listed on the website will be yours, but all customer service, technical logistics and sales are to be handled by us. 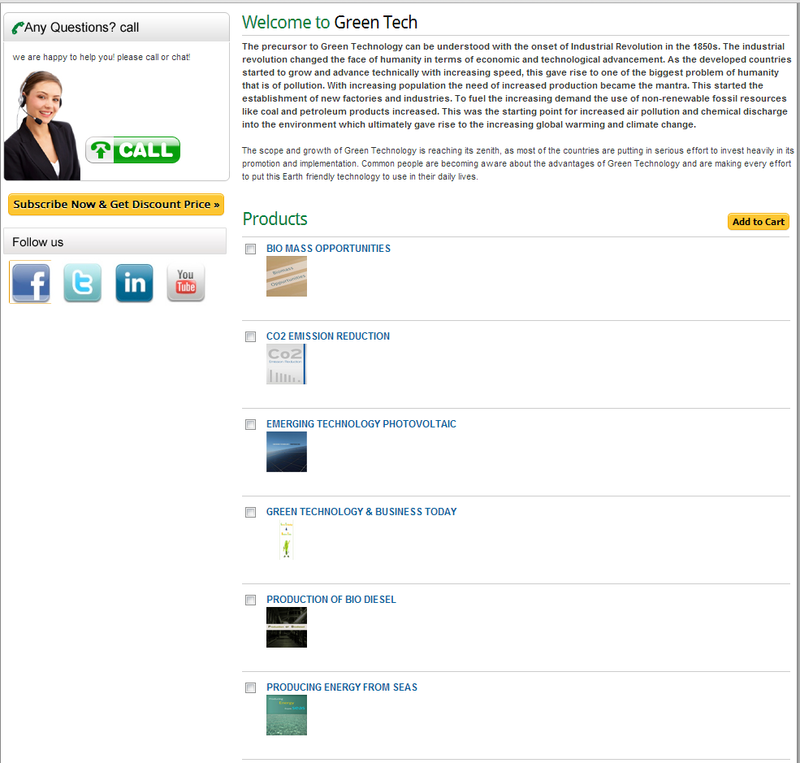 The products sold will be proprietary research articles and information packages on green technology, renewables and alternative energy sources. 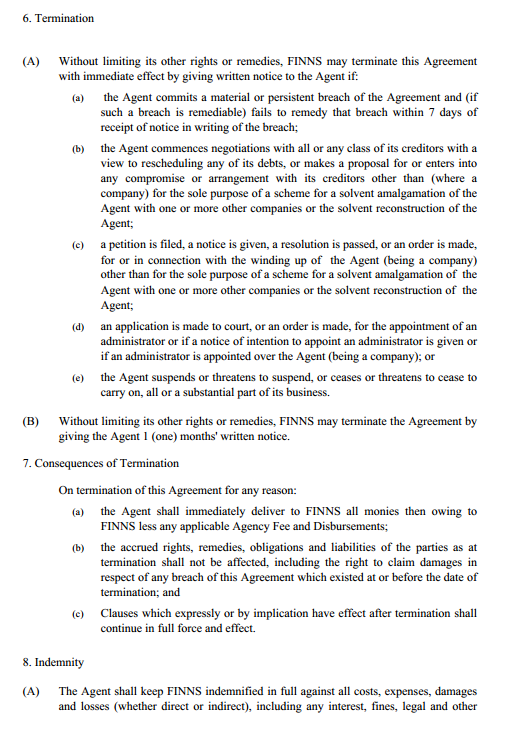 Incoming proceedings from sales will be settled by the bank (or the payment provider) into your business bank account on a time scale defined by the bank (or the payment provider). 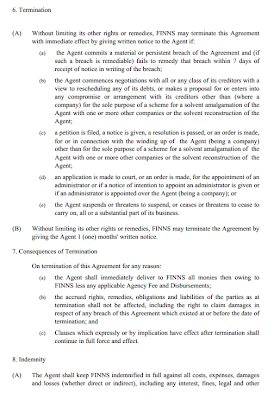 These sale proceedings will be transferred to us, minus your commission and expenses incurred. 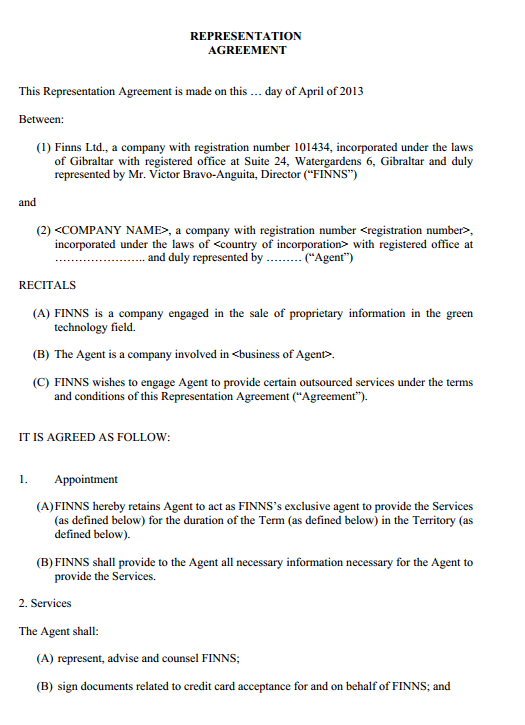 The volume of monthly payments processed through the merchant account will be in the order of EUR 200,000 - EUR 250,000 per month in the initial months. 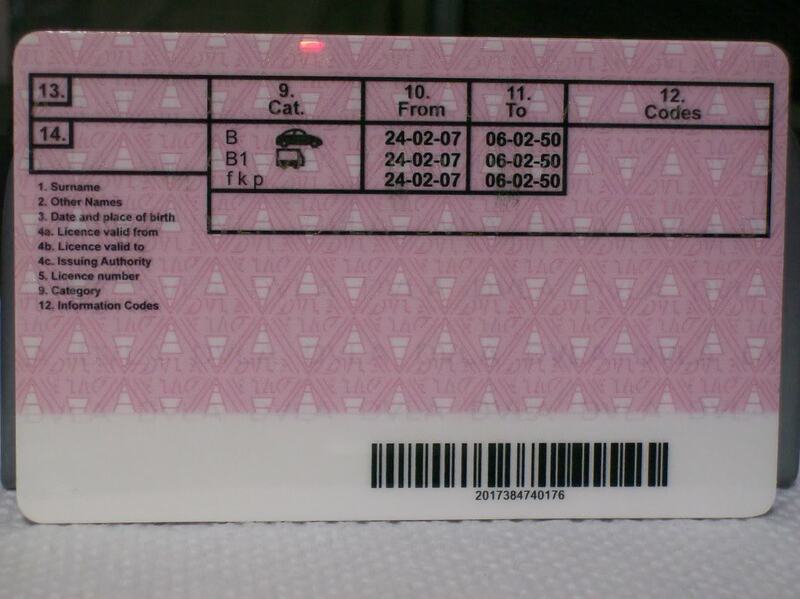 The expected rise is roughly 5-6% every month. 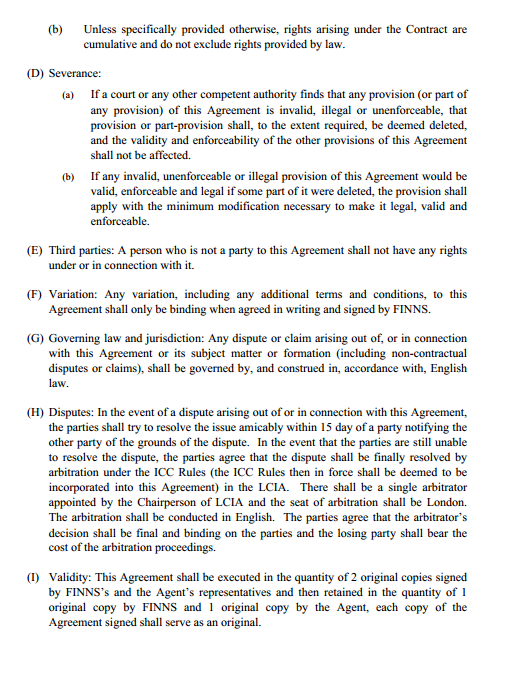 The commission proposed to you stands at 5% of the mentioned volume. 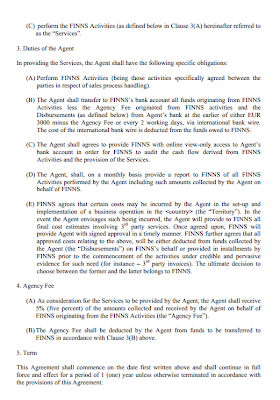 All the expenses related to the operation including the banking and transactions fees and the merchant account setup and related fees are to be covered by us. 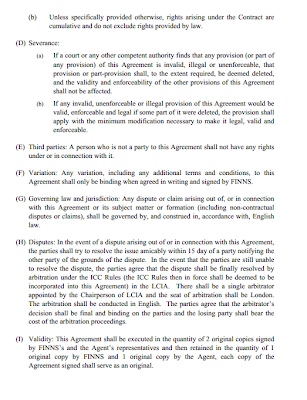 If you agree in principle, I will provide the contract draft to define the legal terms of our collaboration. 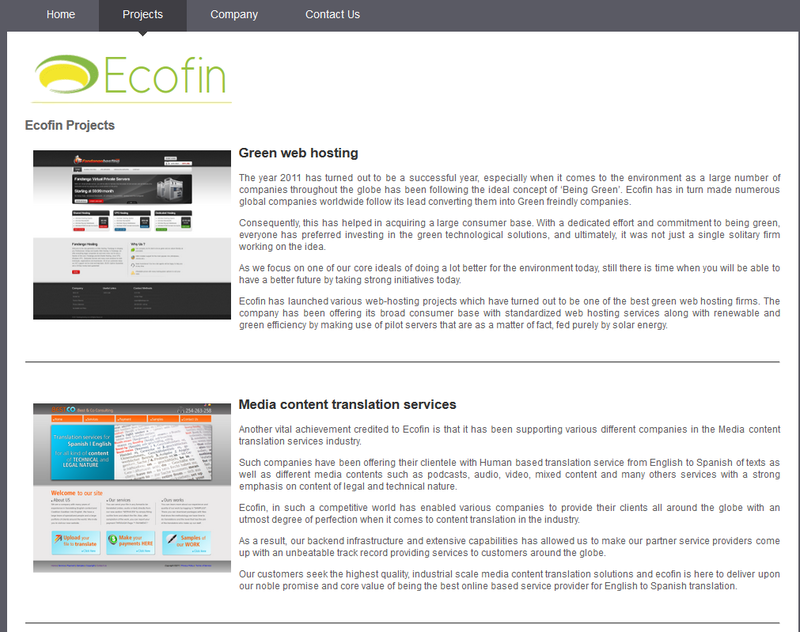 Who are ECOFIN Projects (ecofinservices.net - 50.63.220.106) ? 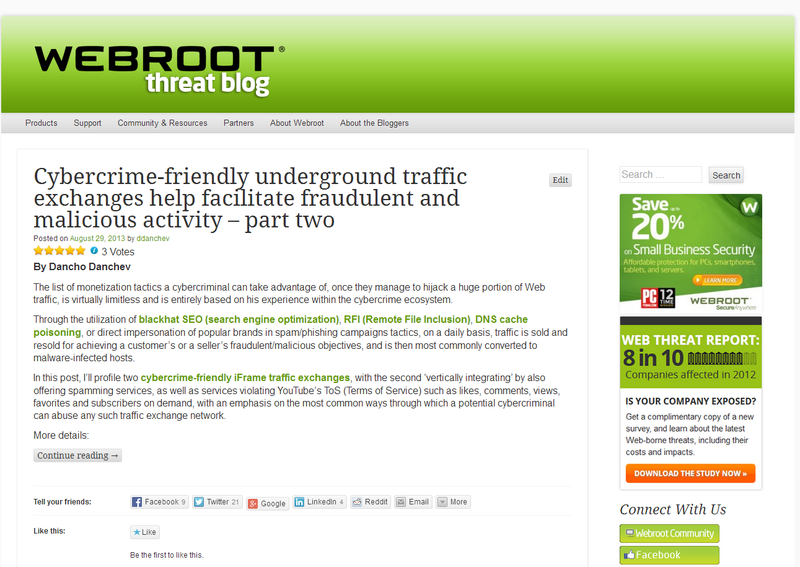 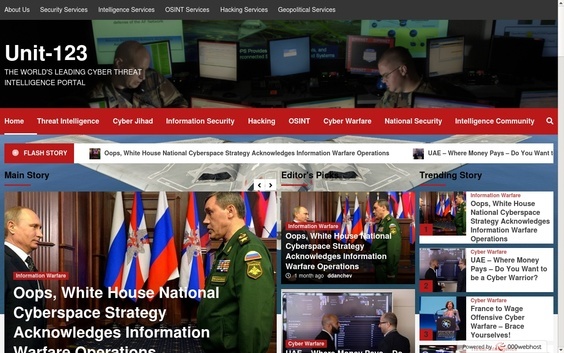 Nothing more than a cybercrime-friendly "marketing agency" at its best. Ecofin is offering outstanding solutions which are useful in maximizing revenues that are generated through a wide range of investment sectors and global assets. 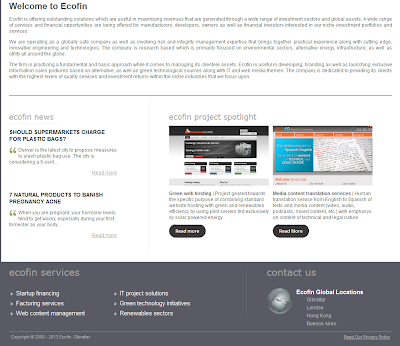 A wide range of services and financial opportunities are being offered for manufacturers, developers, owners as well as financial investors interested in our niche investment portfolios and services. 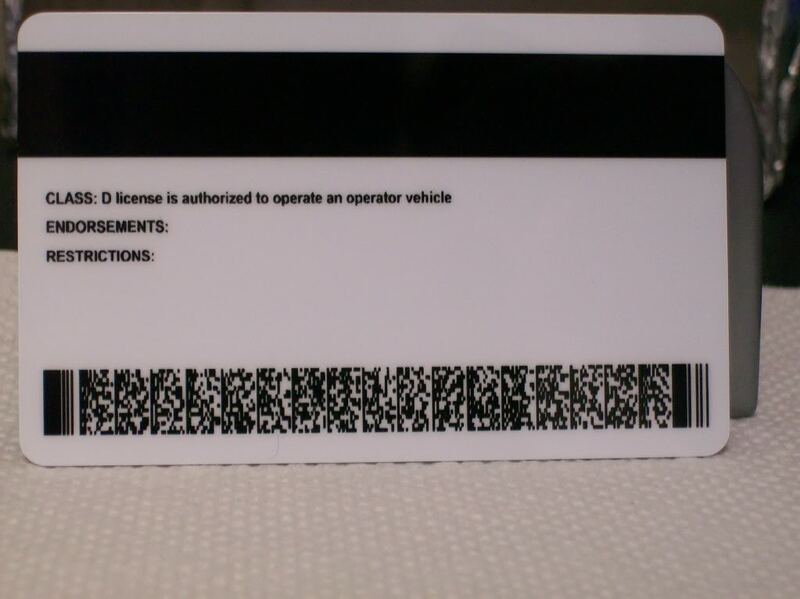 We are operating as a globally safe company as well as involving risk and integrity management expertise that brings together practical experience along with cutting edge, innovative engineering and technologies. The company is research based which is primarily focused on environmental sectors, alternative energy, infrastructure, as well as utility all around the globe. 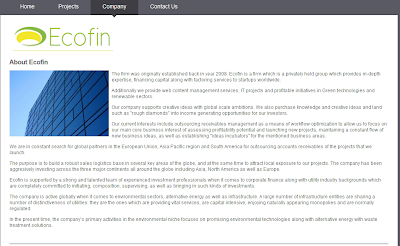 The firm is practicing a fundamental and basic approach while it comes to managing its clientele assets. Ecofin is useful in developing, branding as well as launching exclusive information sales podiums based on alternative, as well as green technological sources along with IT and web media themes. 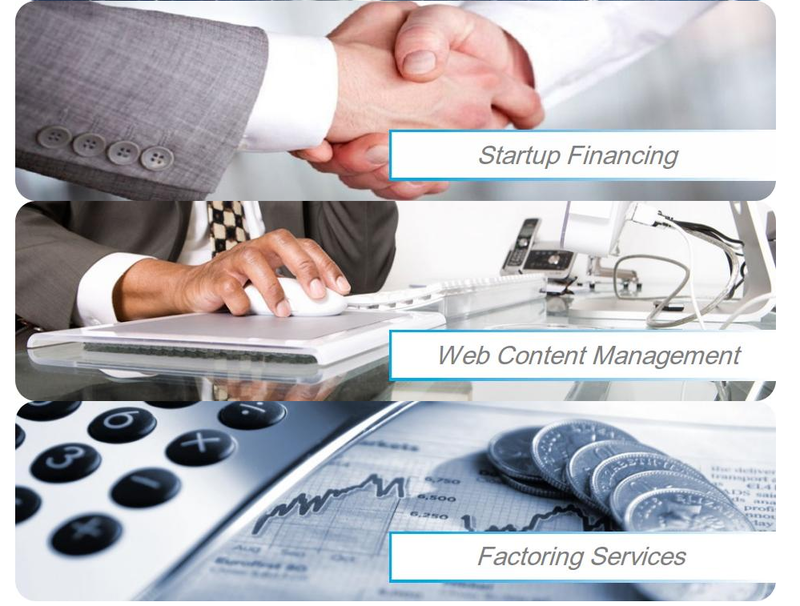 The company is dedicated to providing its clients with the highest levels of quality services and investment returns within the niche industries that we focus upon. 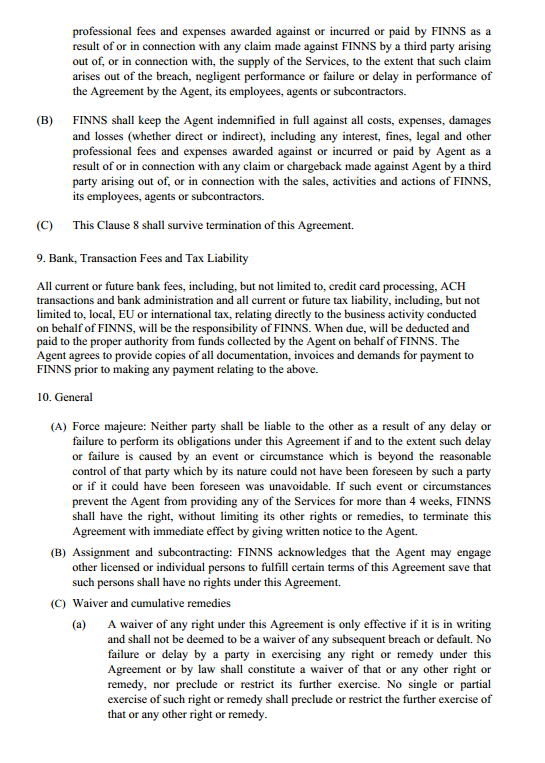 Please find the Contract draft attached, review and confirm your agreement with every point of it. 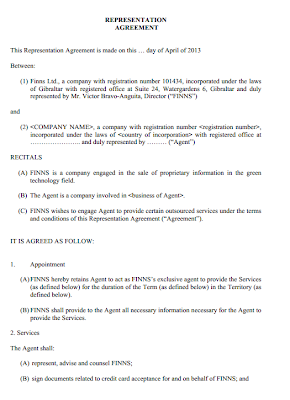 The next step would be to provide the proper company data to be put in the contract and produce the final version for the signing. 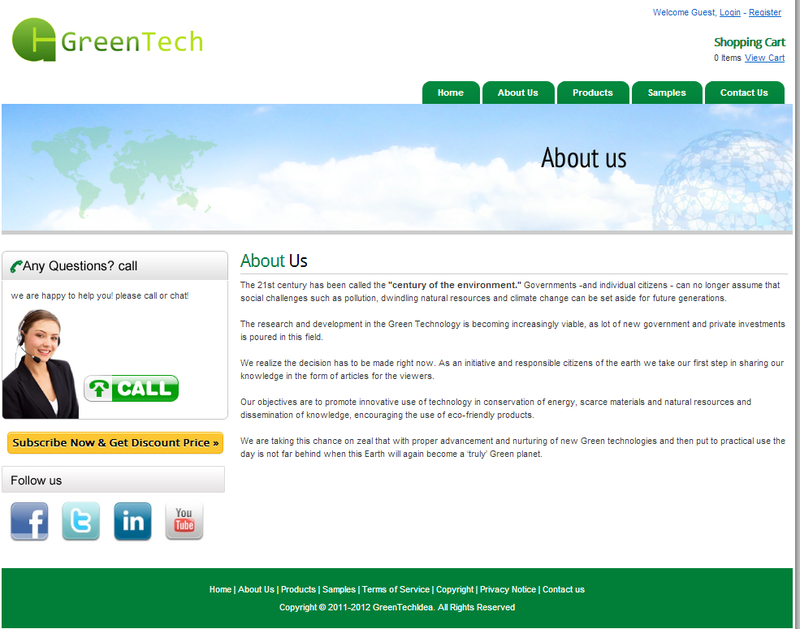 This site will be copied into a new domain reflecting your company name and your company data. As indicated, all customer service, sales, technical logistics, etc. are to be handled by us. You would need to open a merchant account for online credit card acceptance (E-commerce). 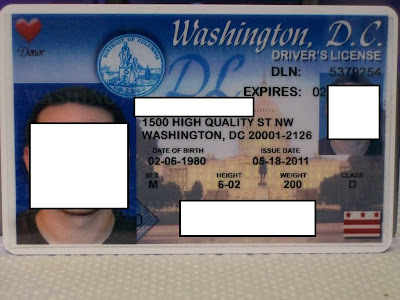 The customers will be from all over the world. 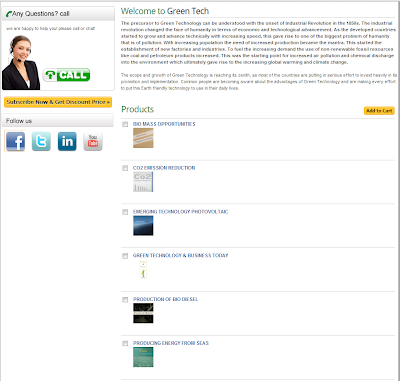 All the issues related to sales, marketing, customer service, supply, logistics, etc. are to be handled by us. You will be required to open a merchant account for online credit card acceptance, receive the funds and transfer us the proceedings, as indicated in the contract draft with detail. 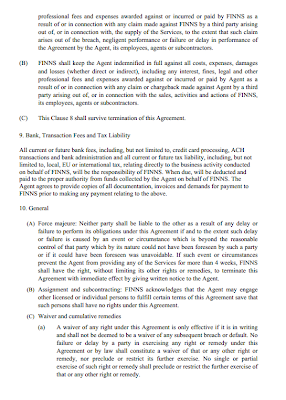 No capital or any upfront payments from your side are required. 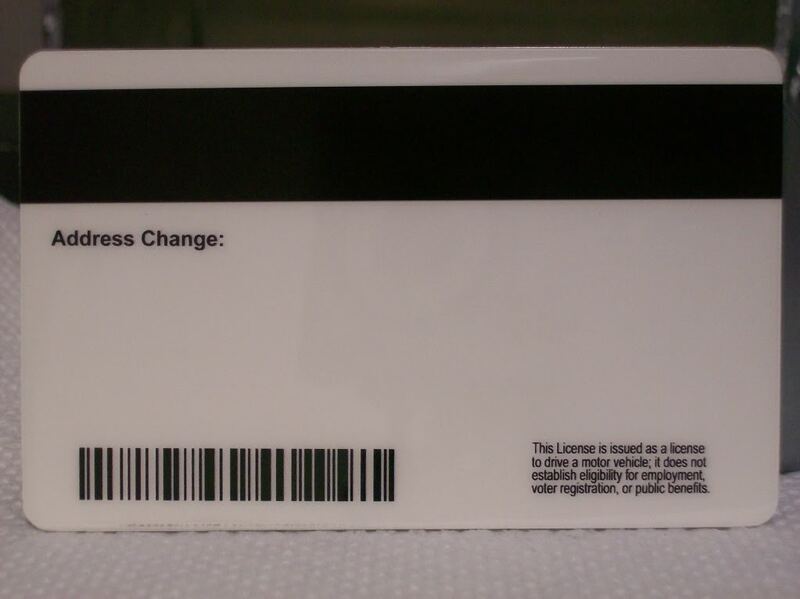 If it is necessary to cover any upfront fees for the merchant account establishment, we will transfer such fees to you beforehand. 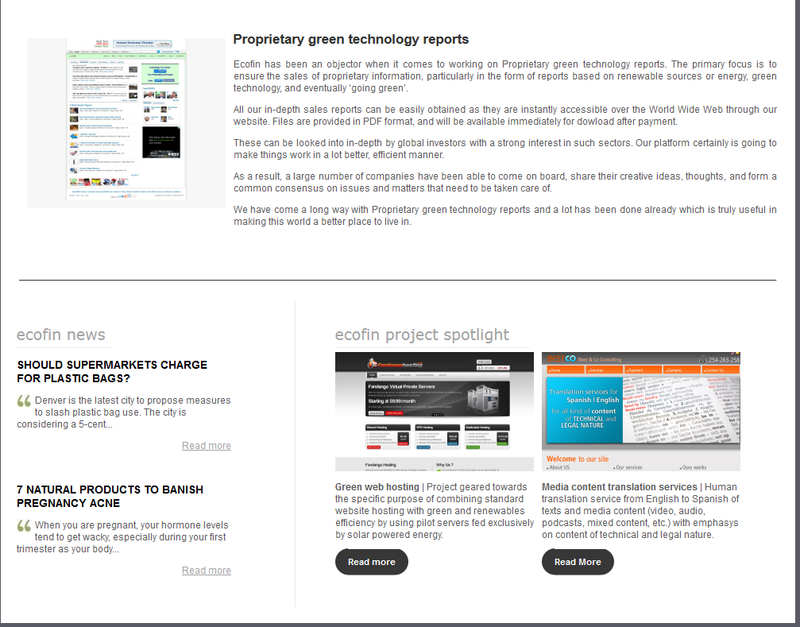 "The only green is money". 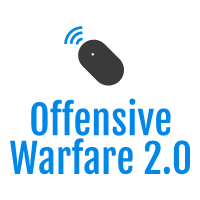 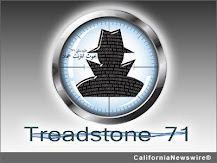 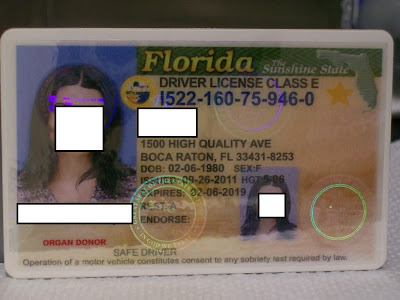 Continuing the series of blog posts profiling the most recent underground market propositions for high quality fake passports/IDs/documents, in this post, I'll emphasize on a cybercrime-friendly vendor that's exclusively targeting the U.S market. 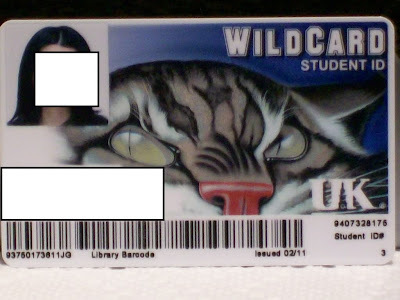 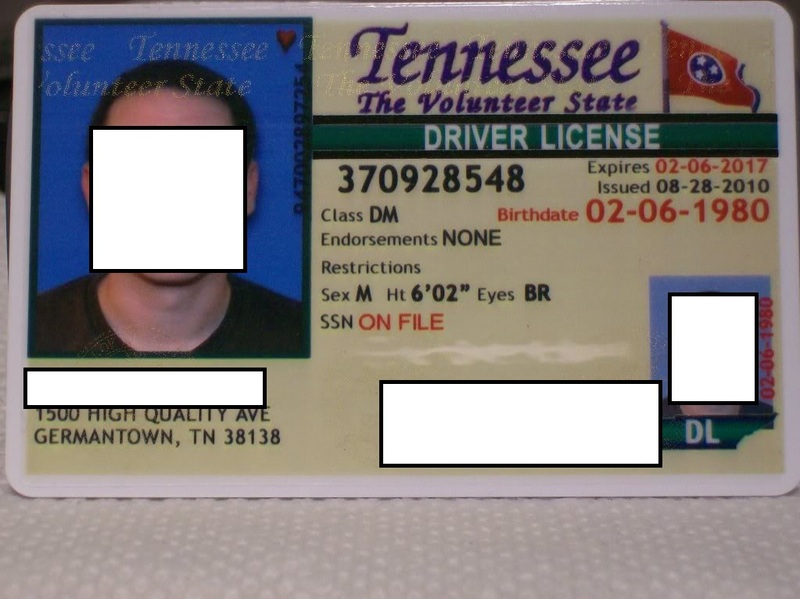 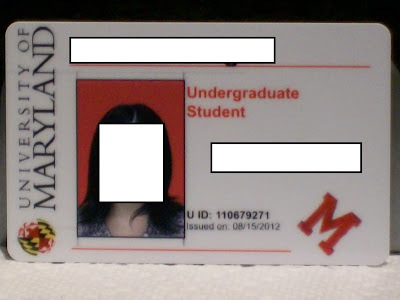 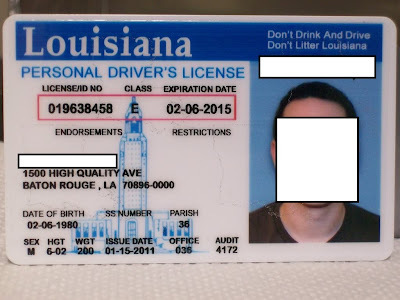 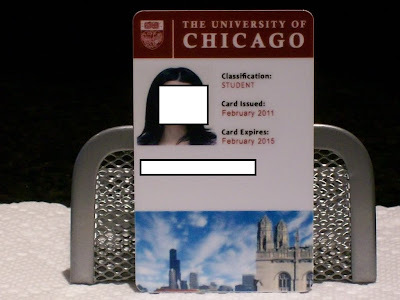 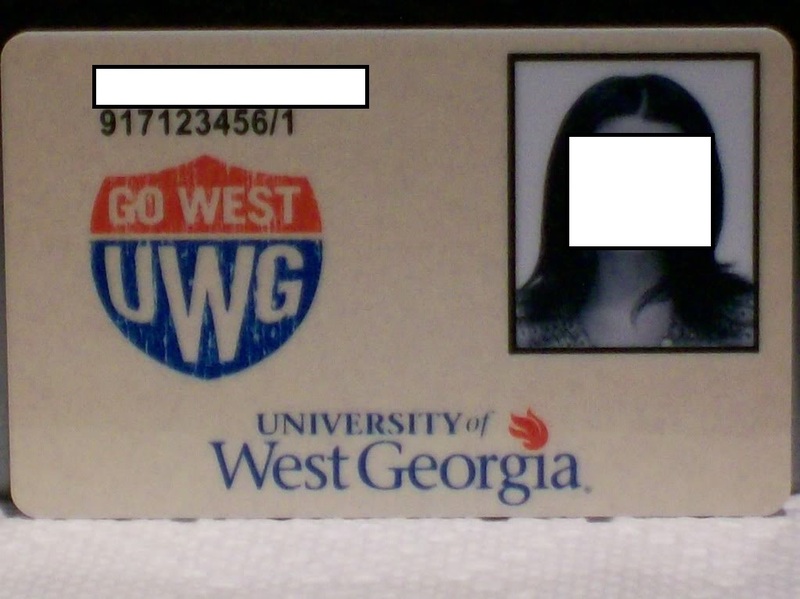 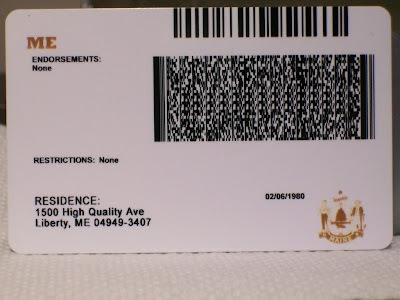 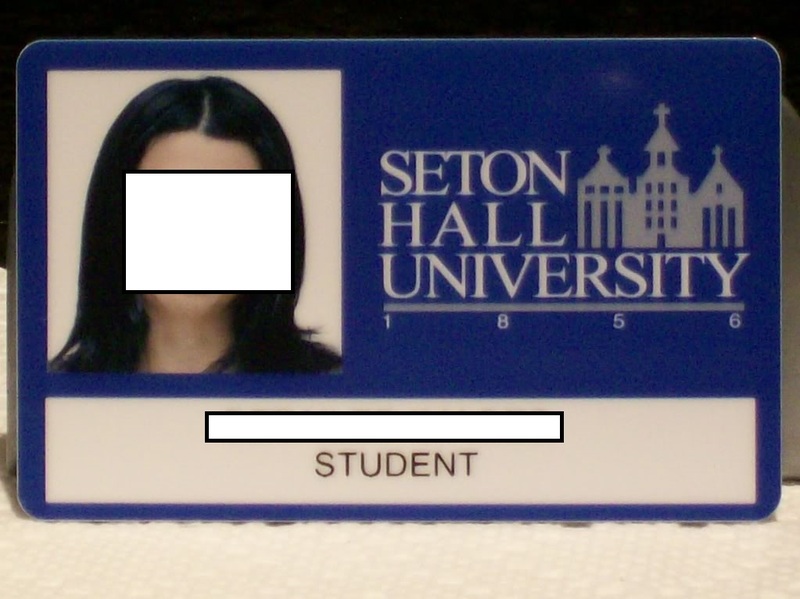 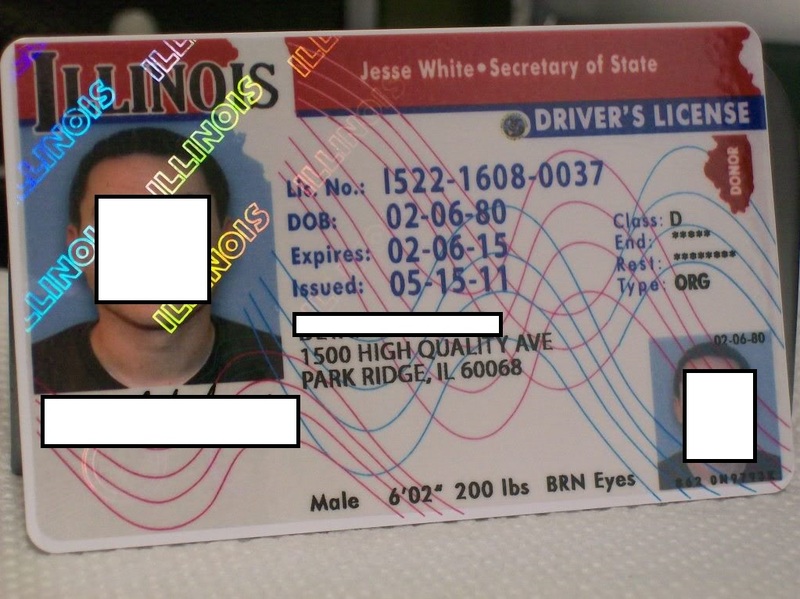 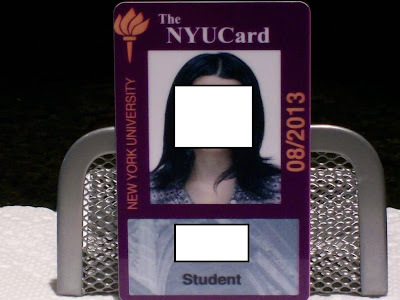 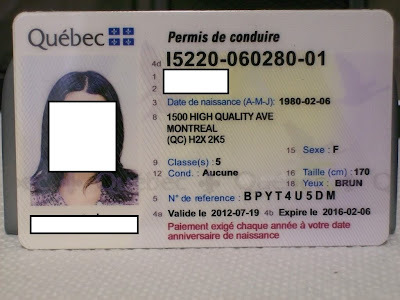 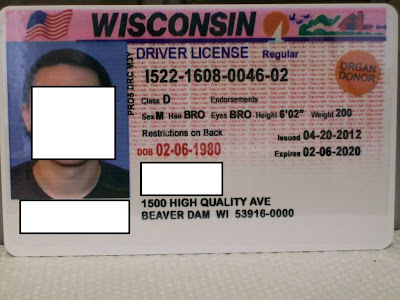 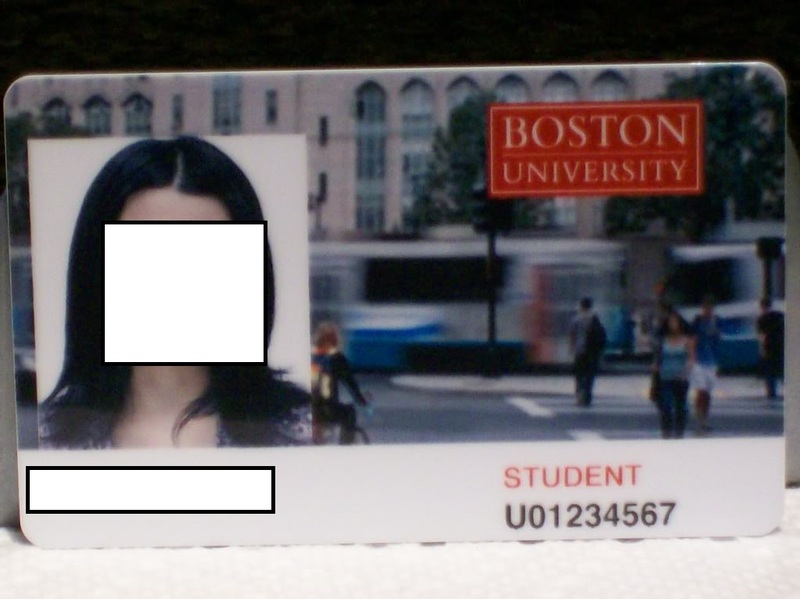 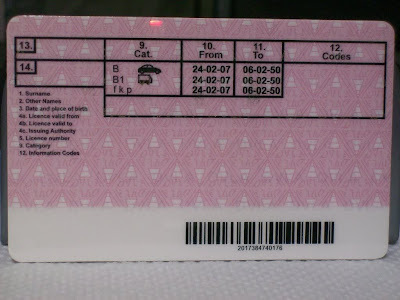 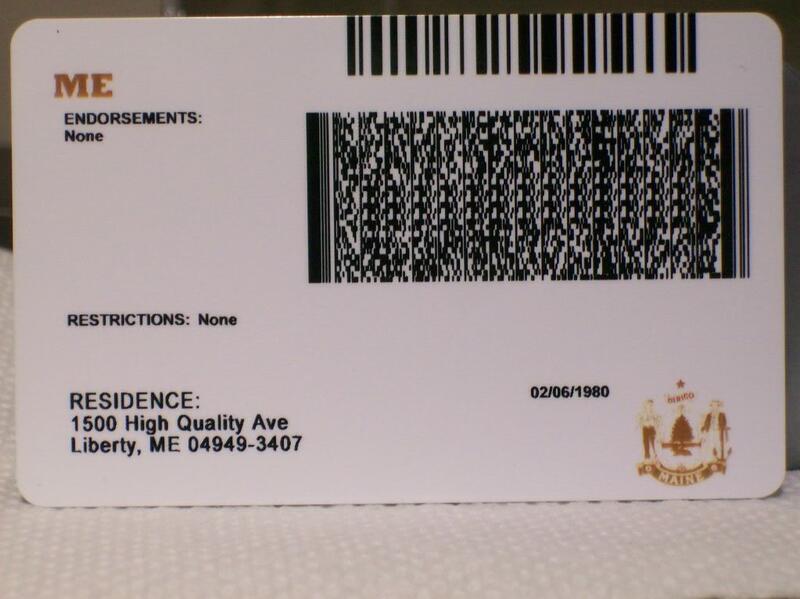 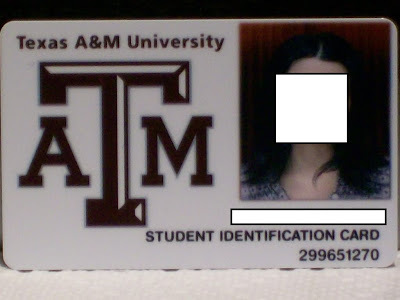 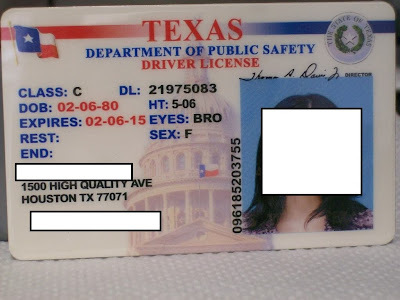 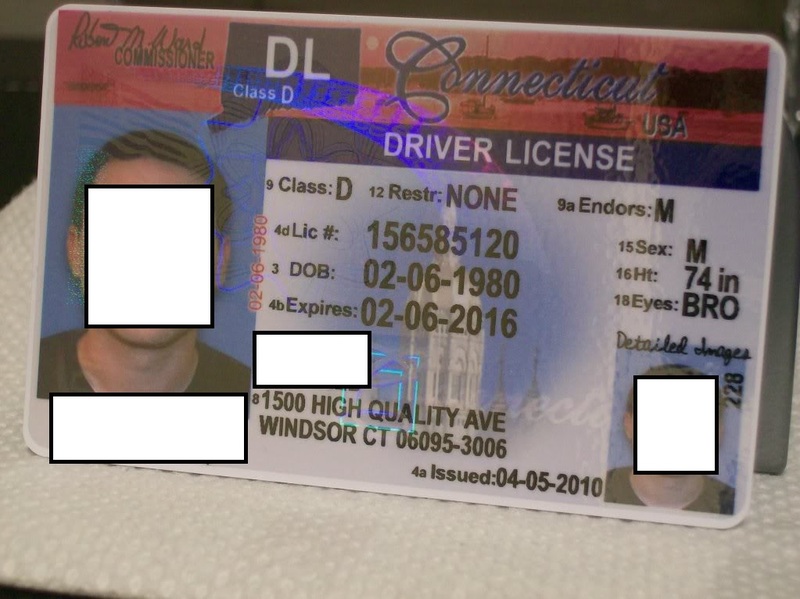 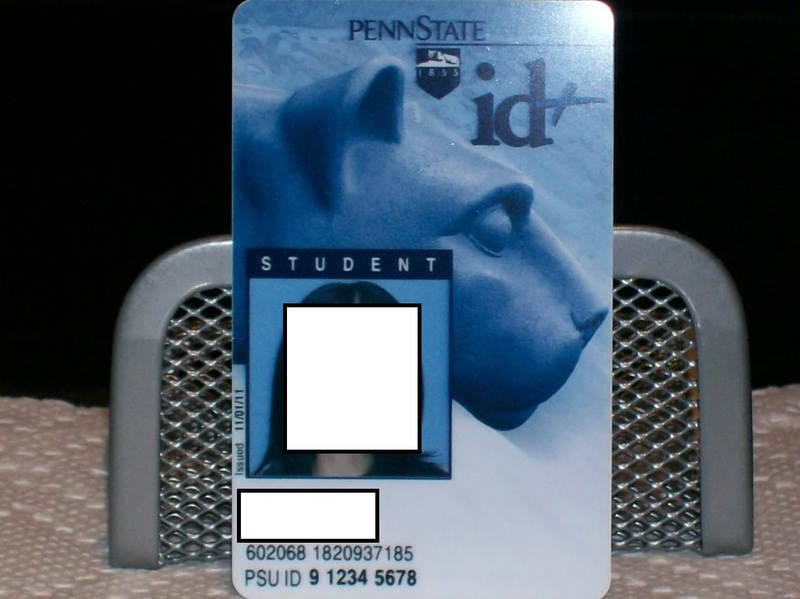 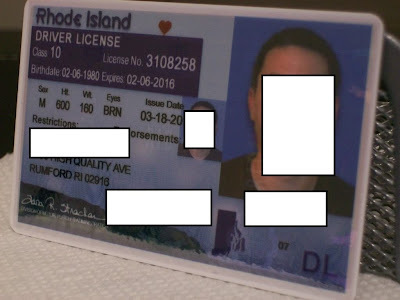 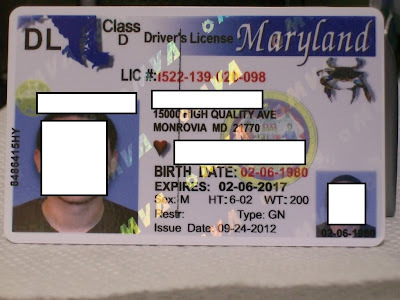 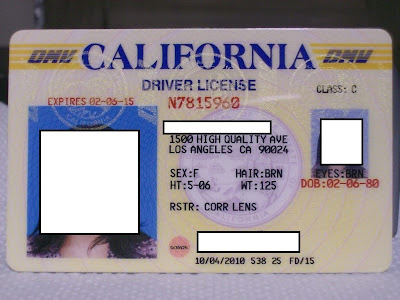 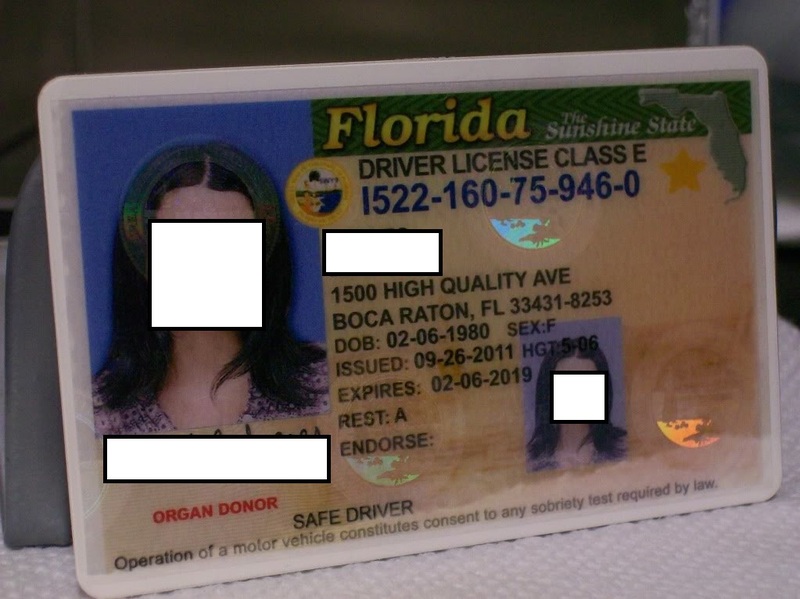 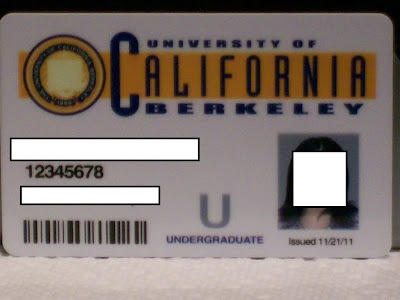 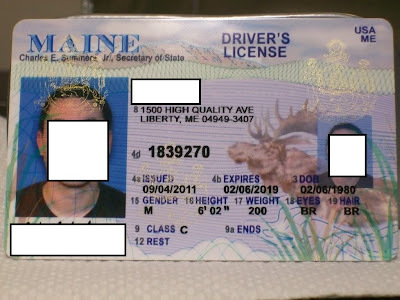 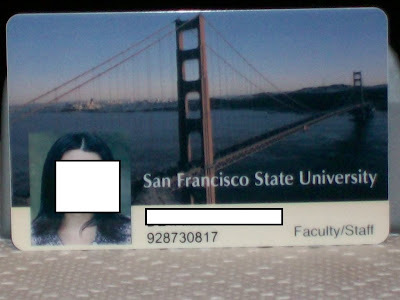 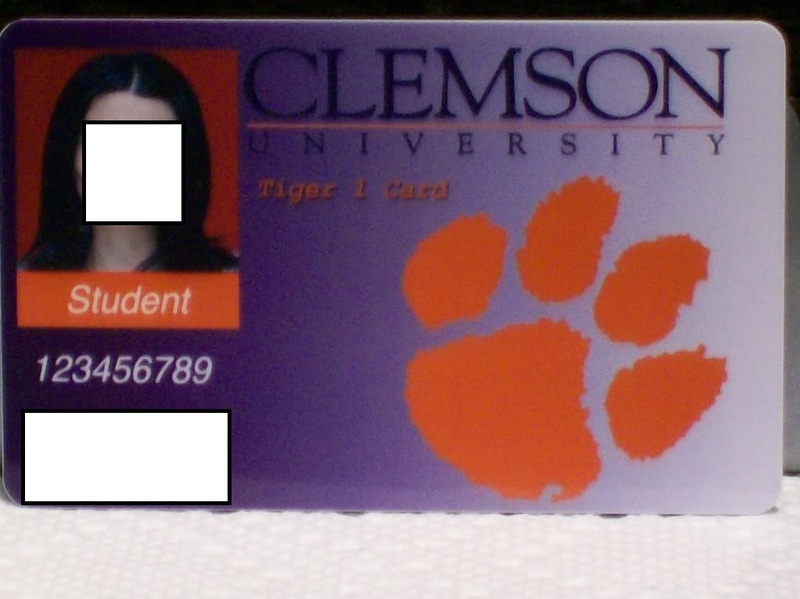 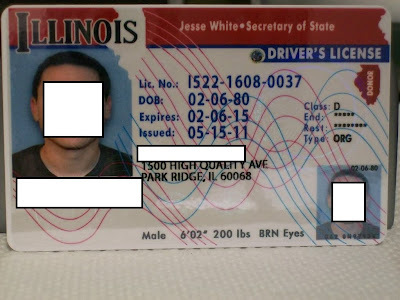 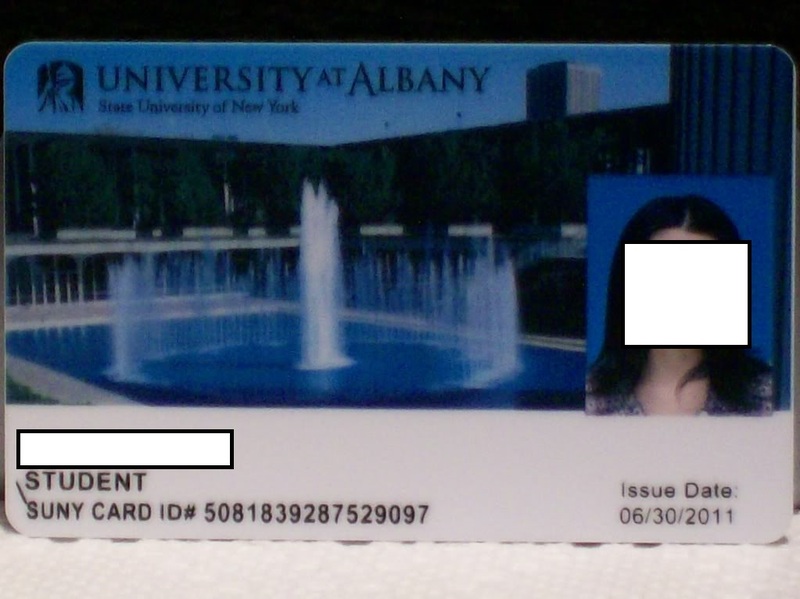 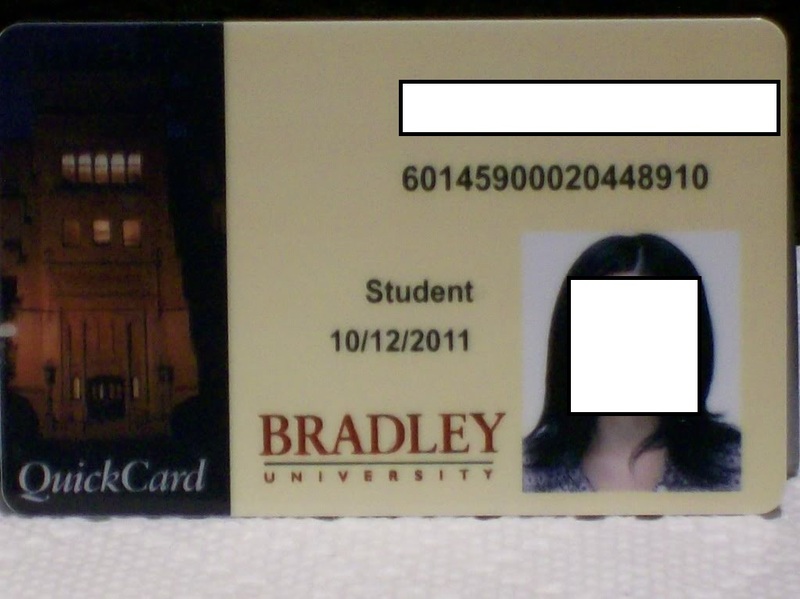 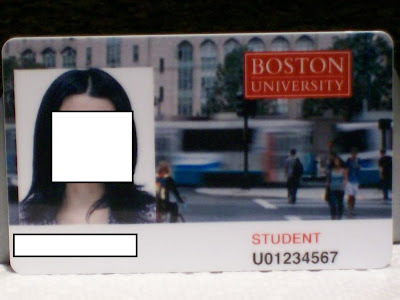 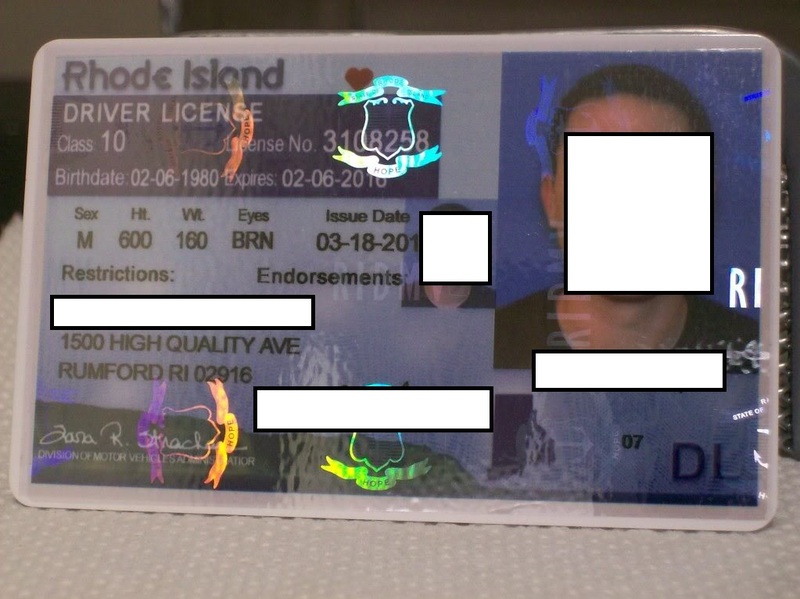 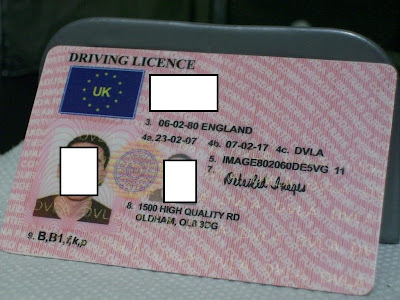 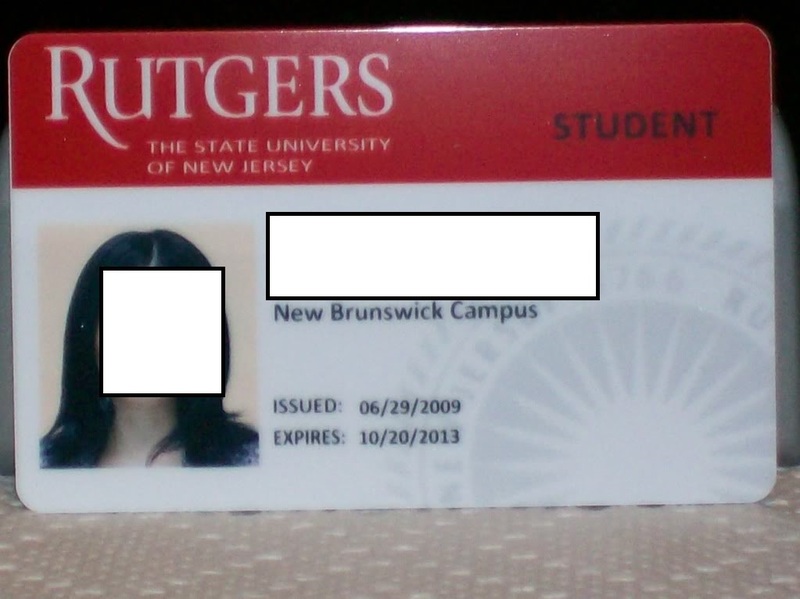 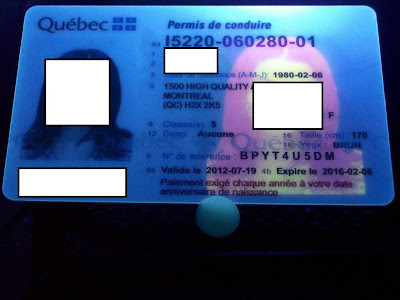 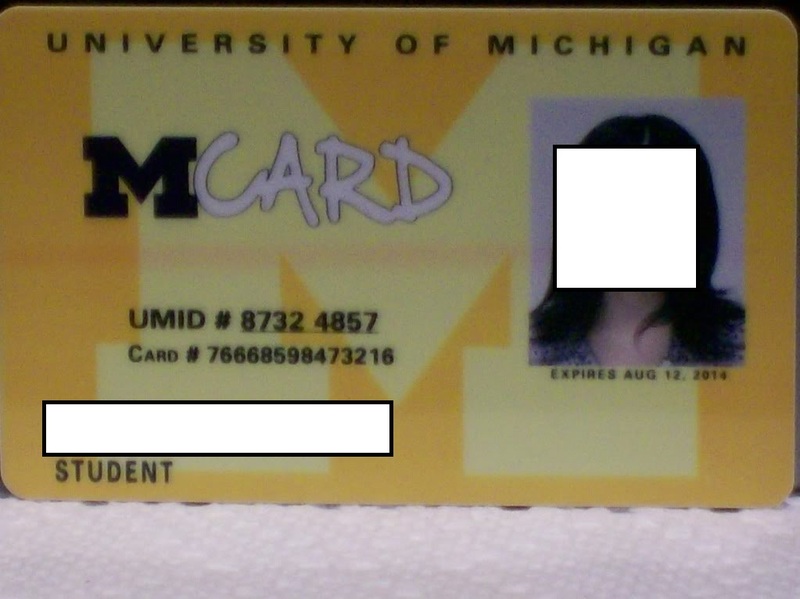 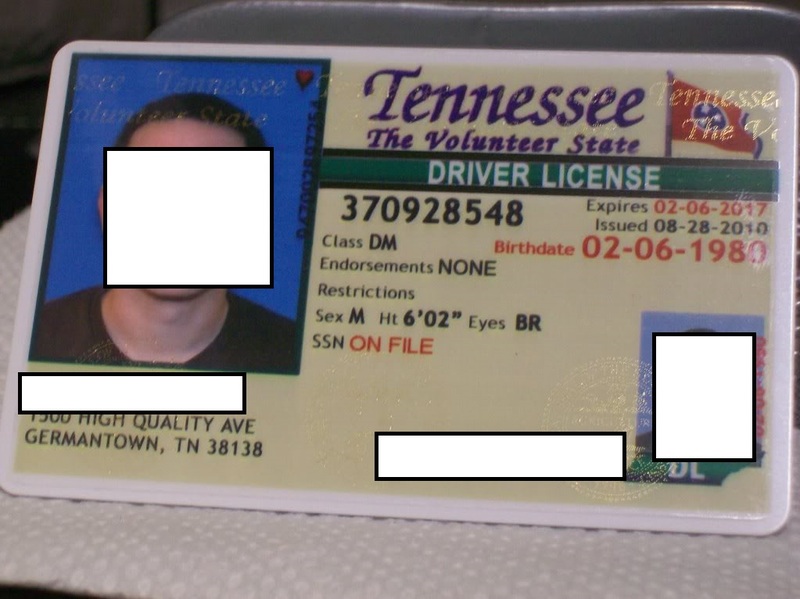 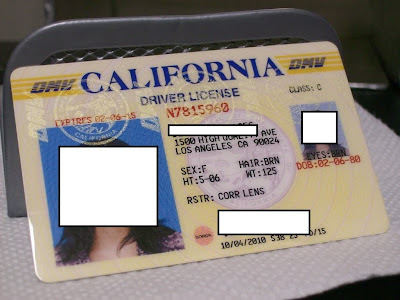 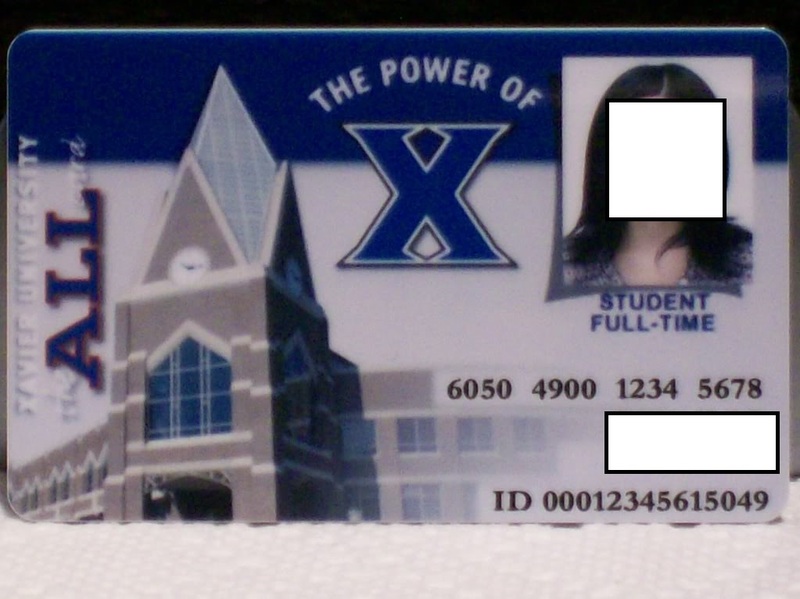 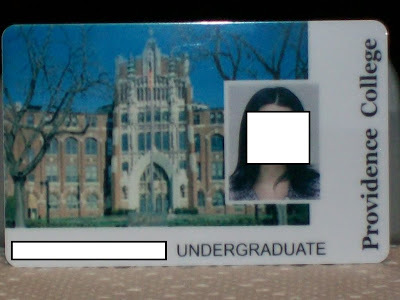 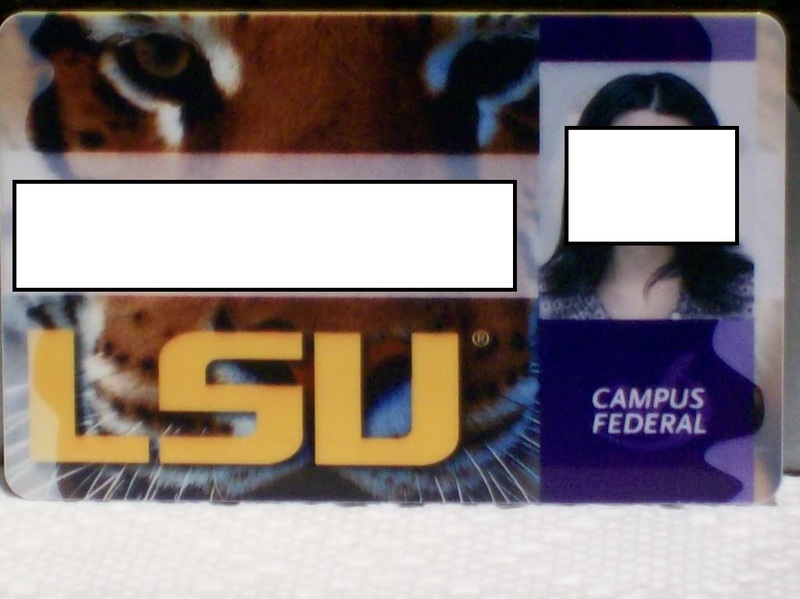 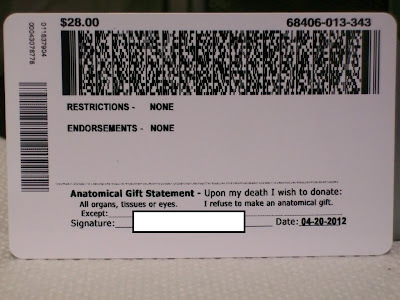 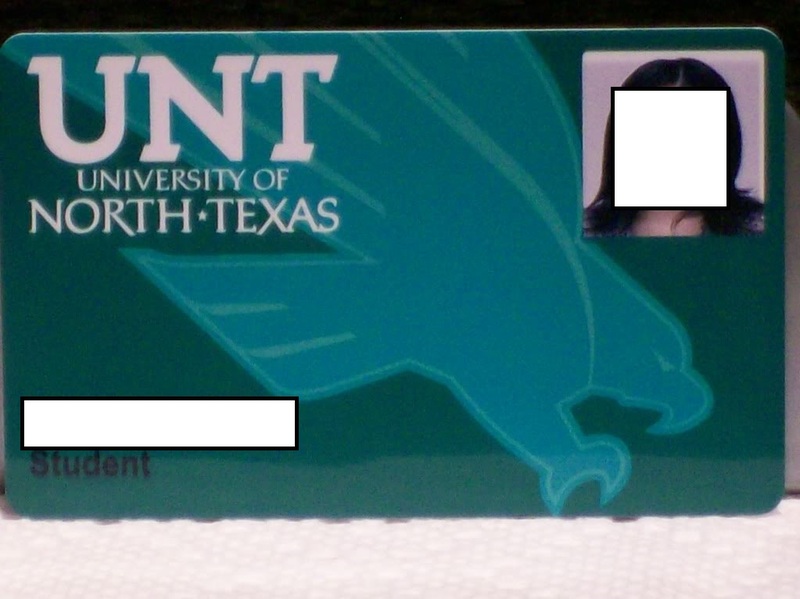 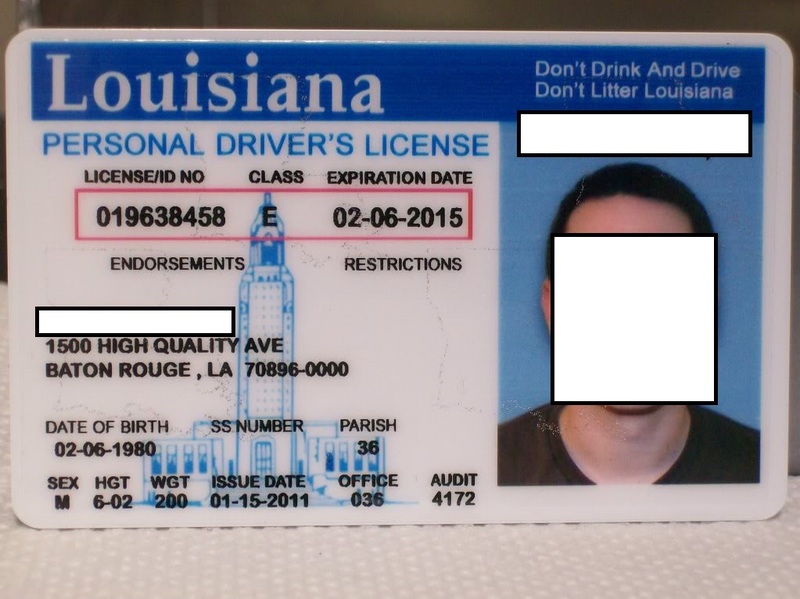 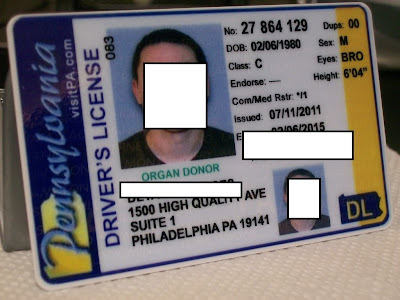 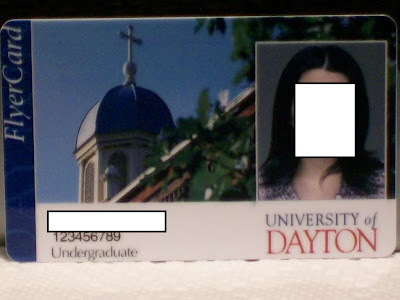 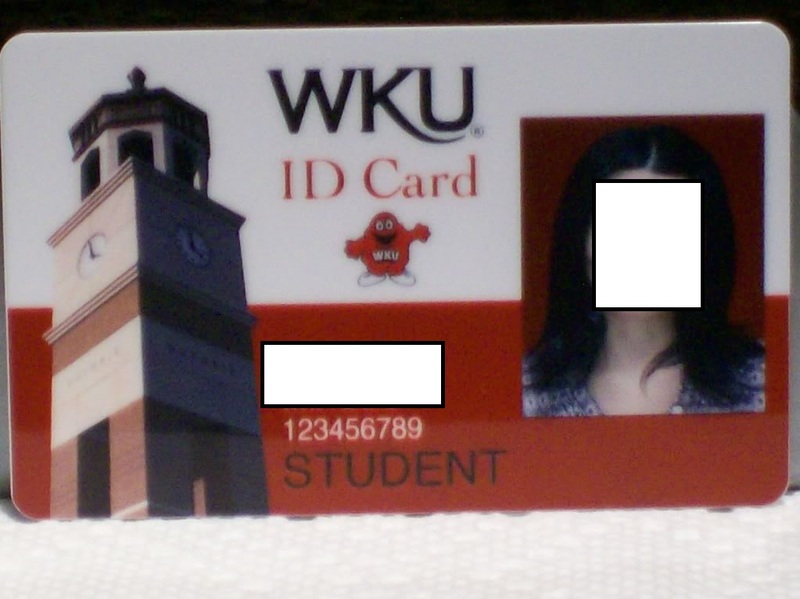 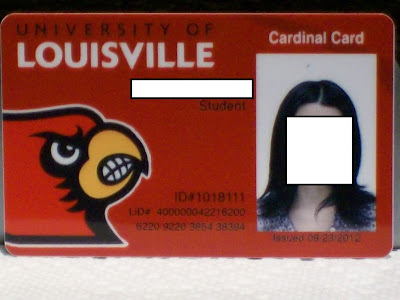 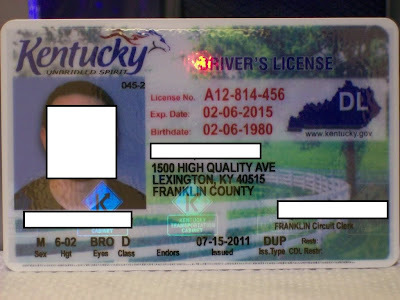 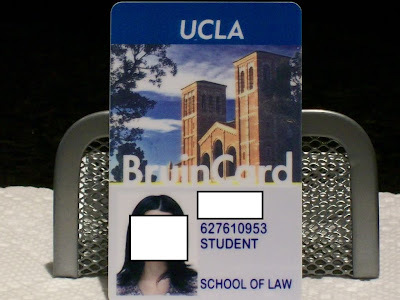 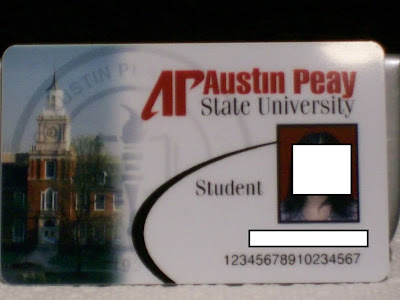 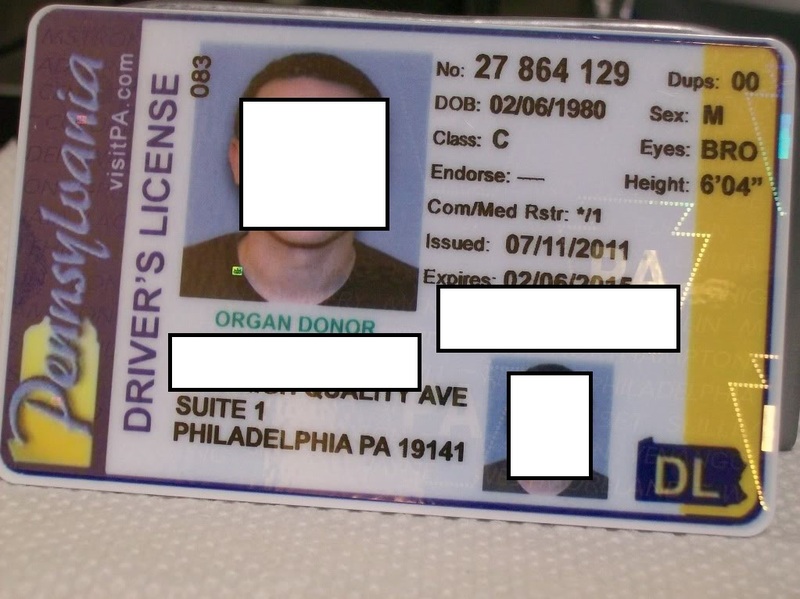 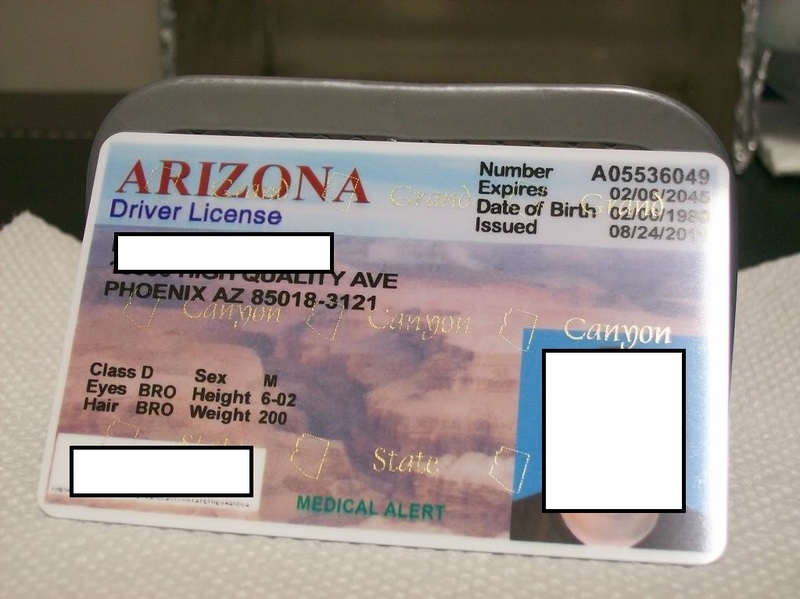 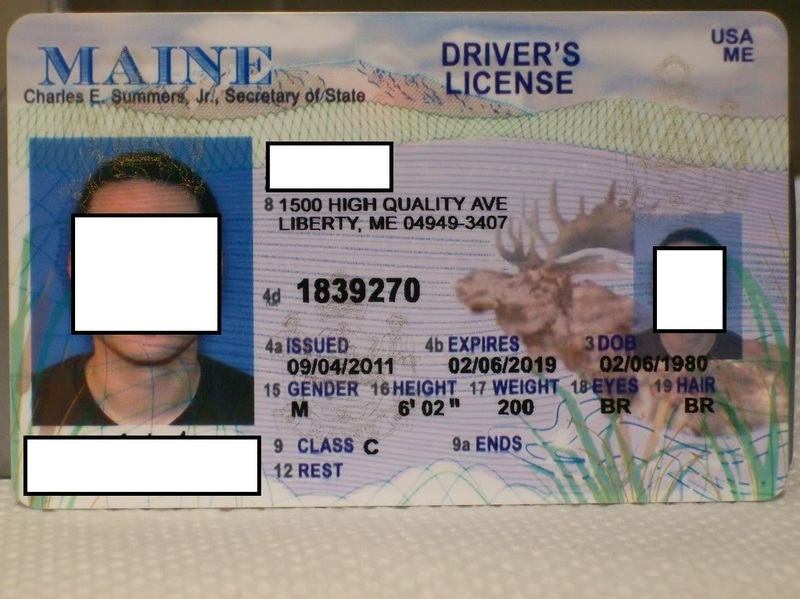 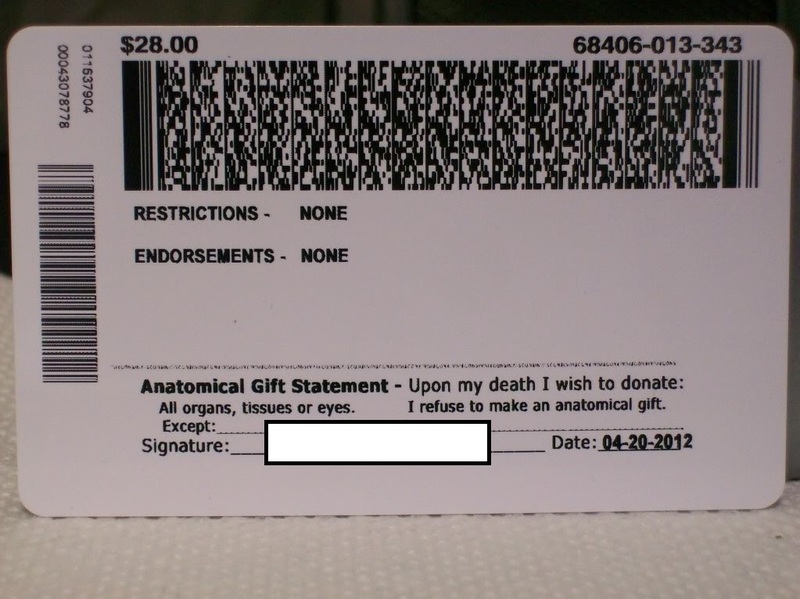 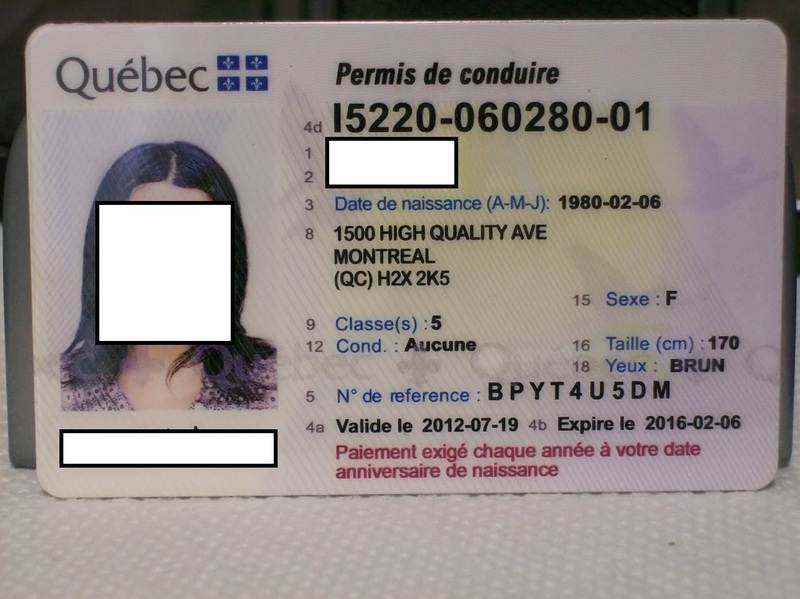 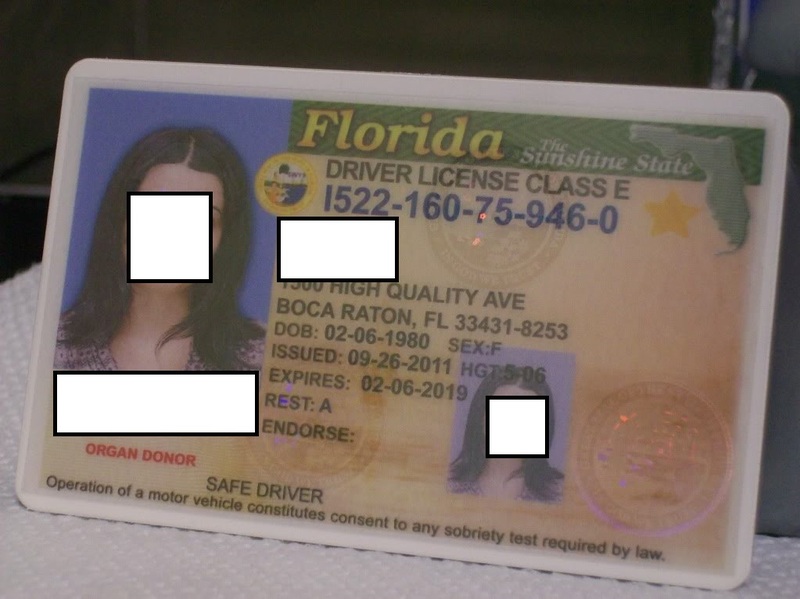 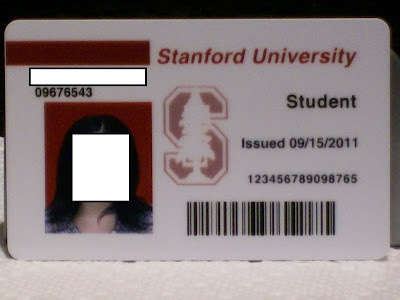 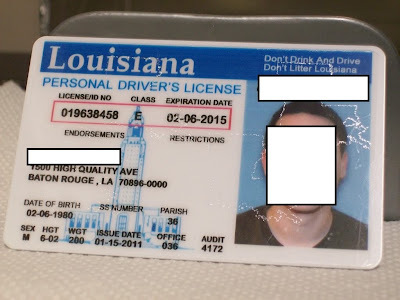 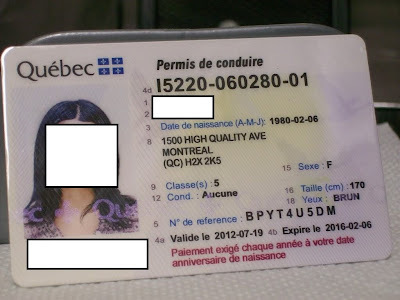 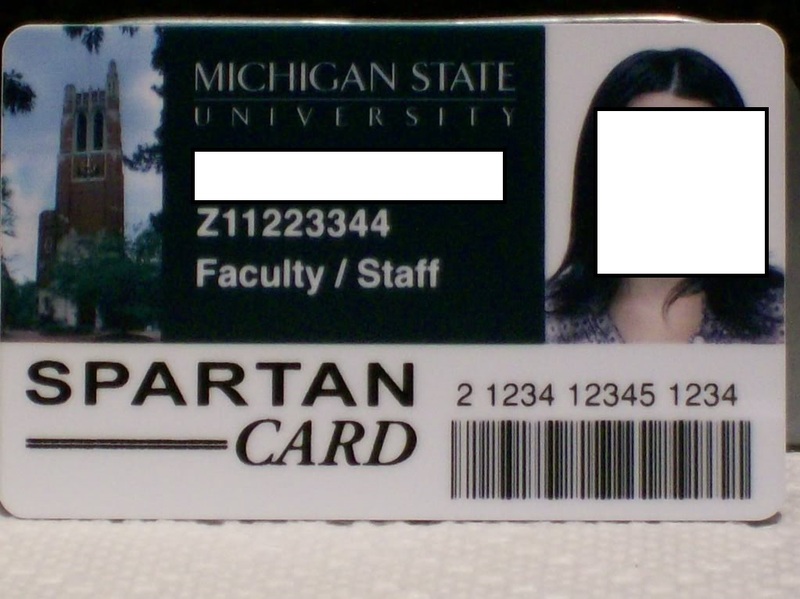 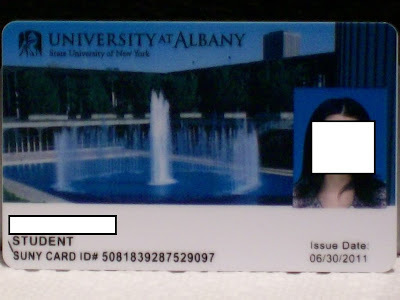 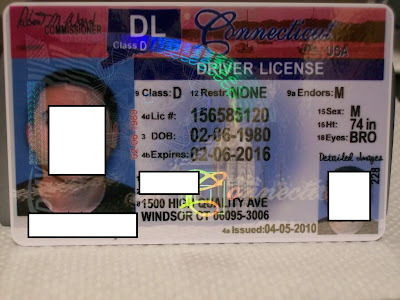 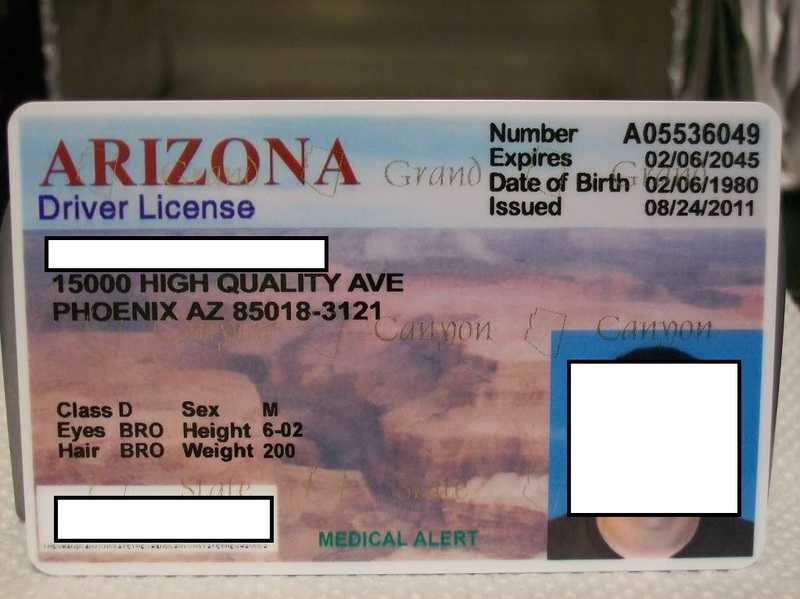 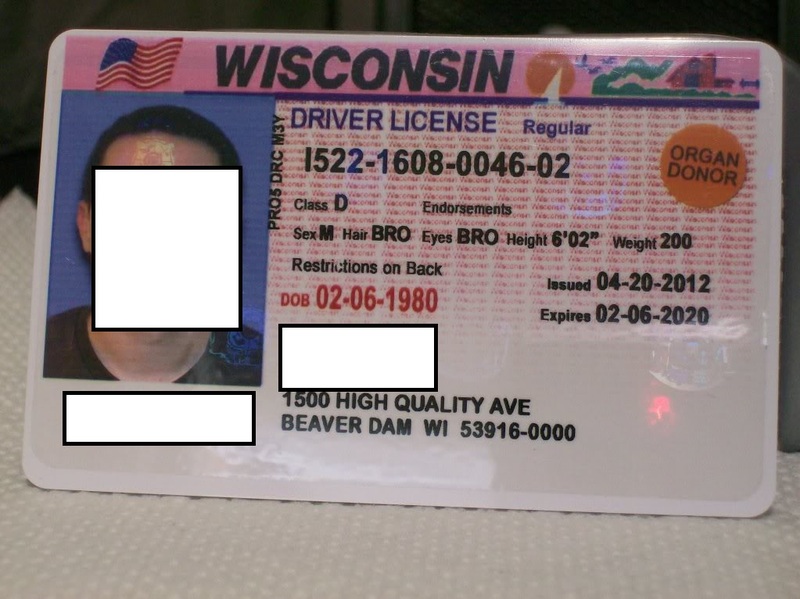 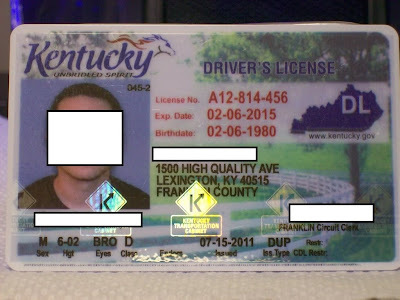 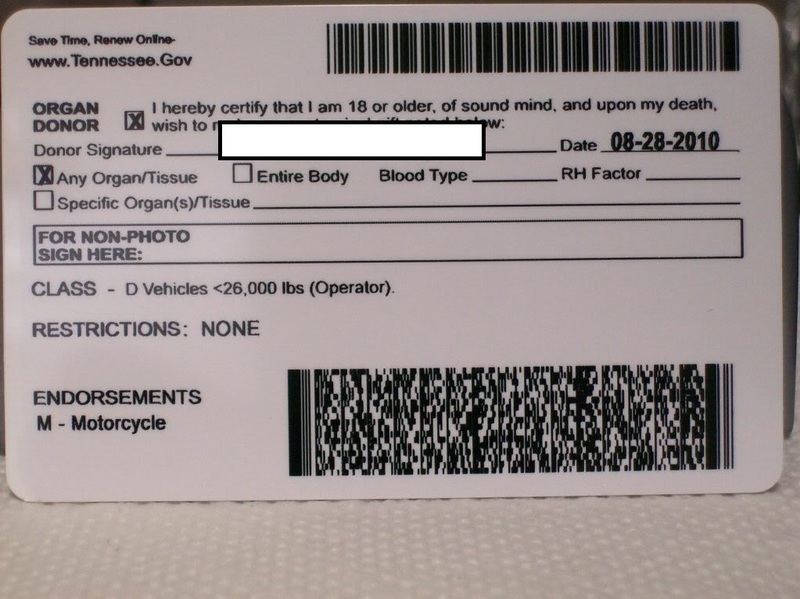 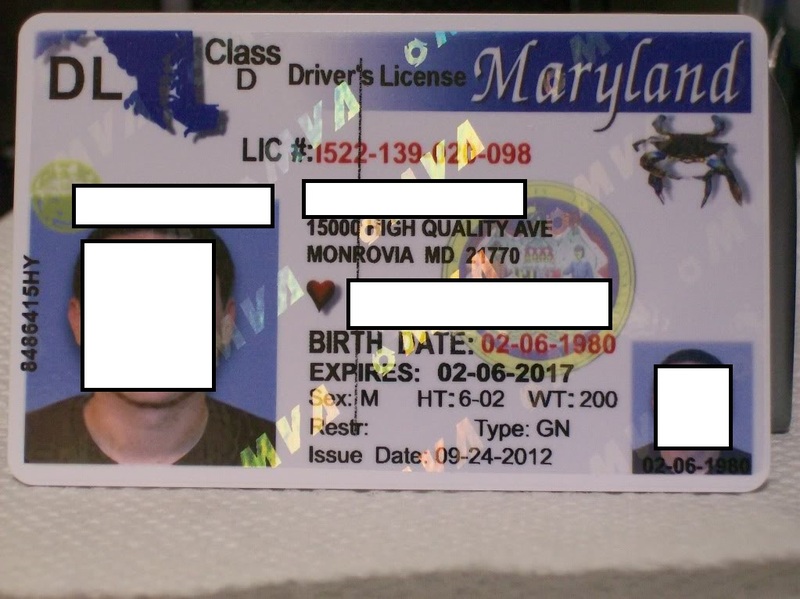 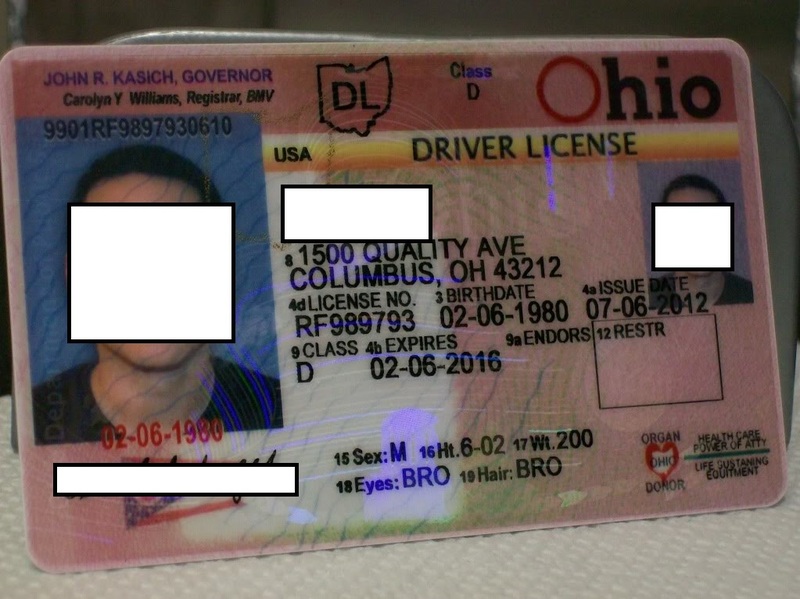 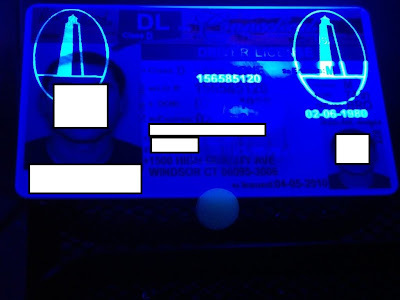 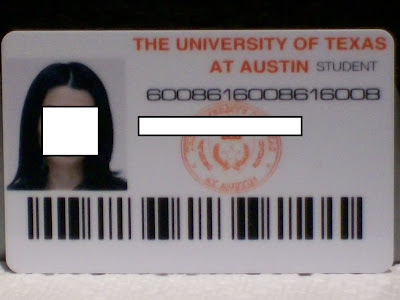 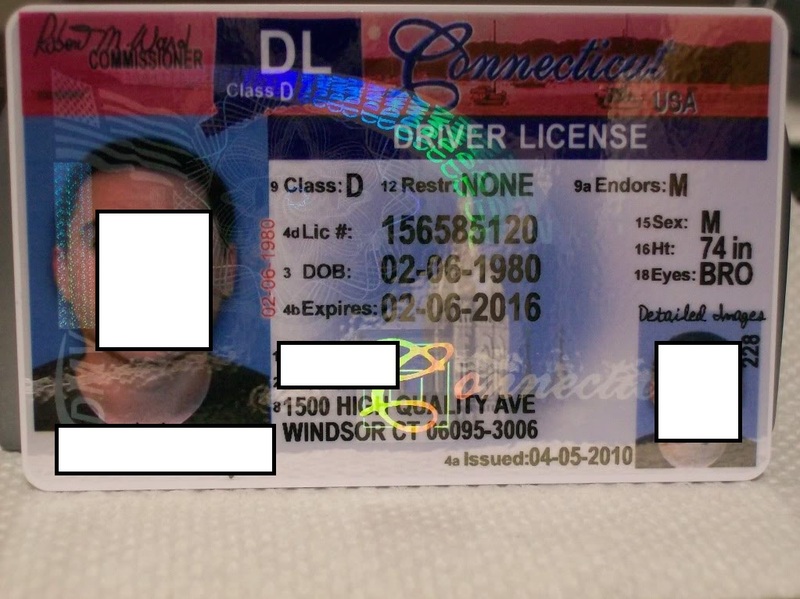 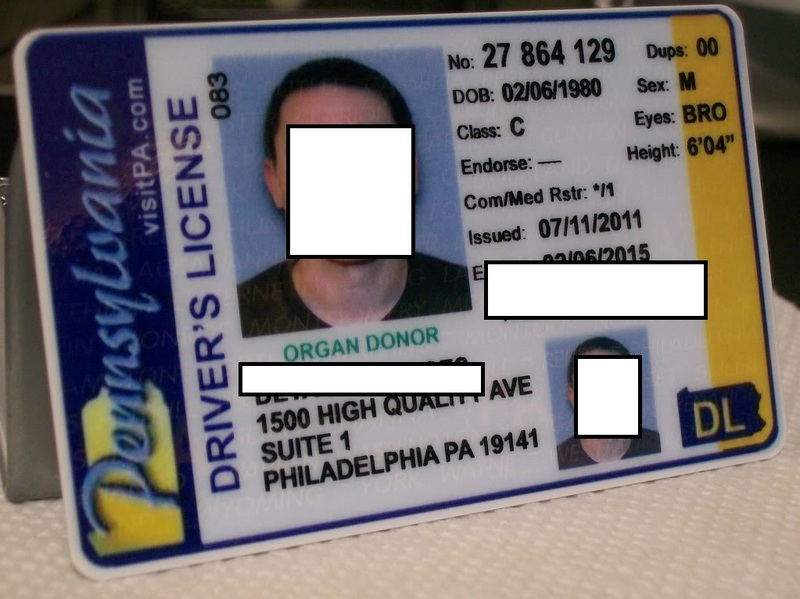 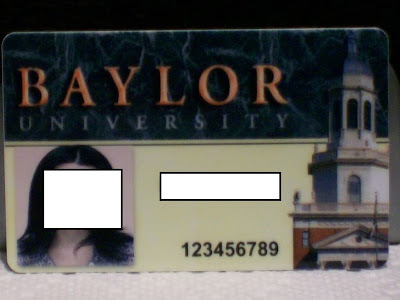 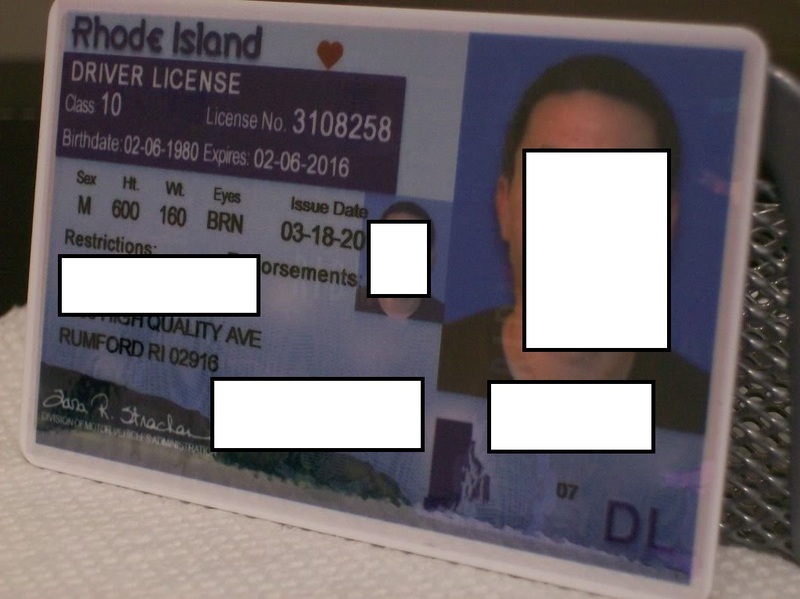 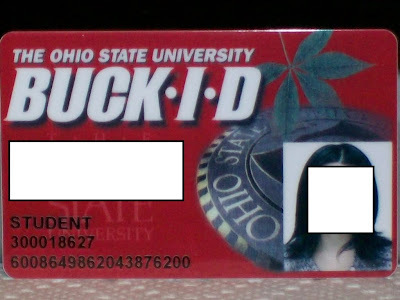 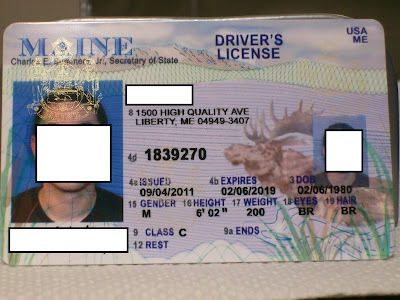 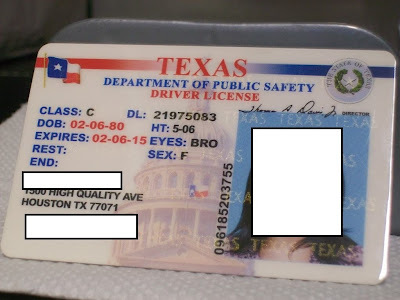 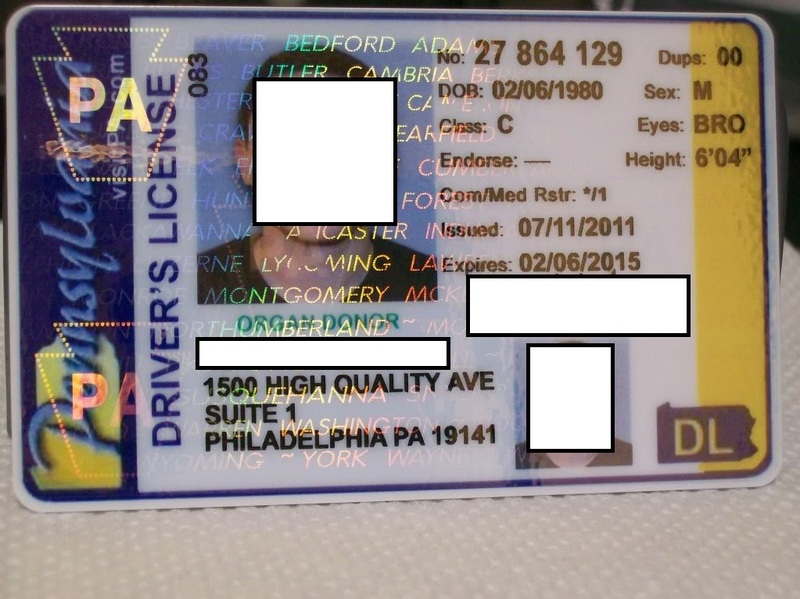 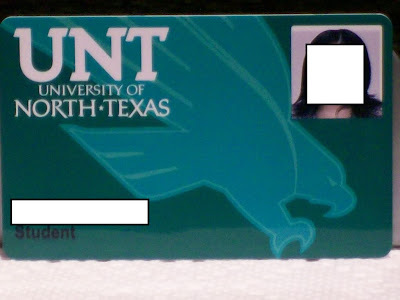 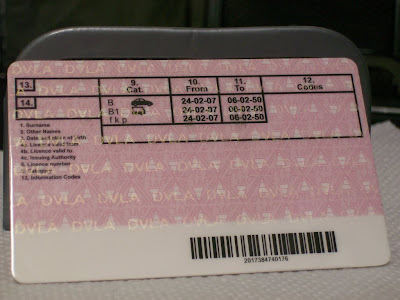 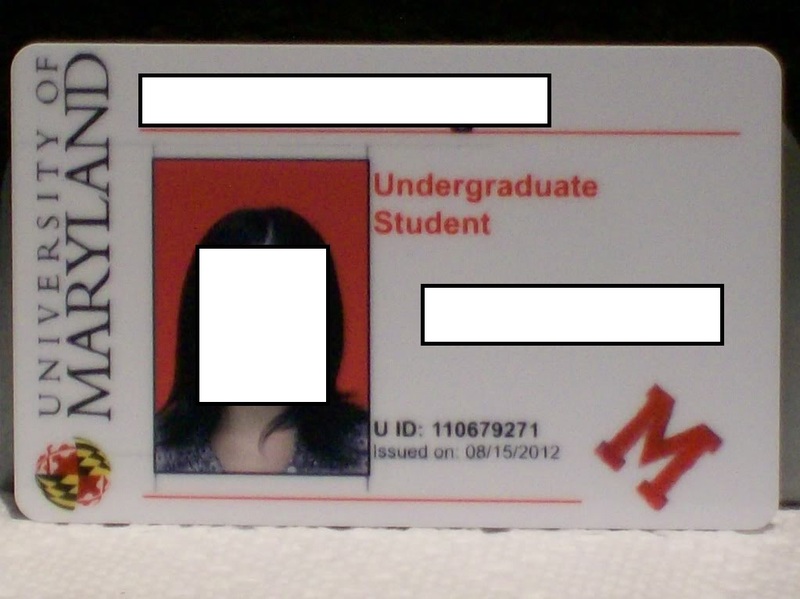 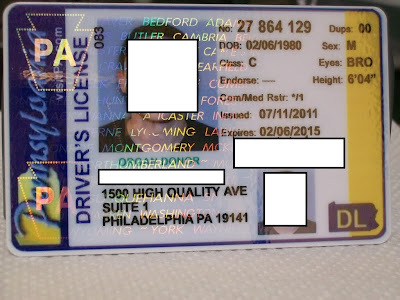 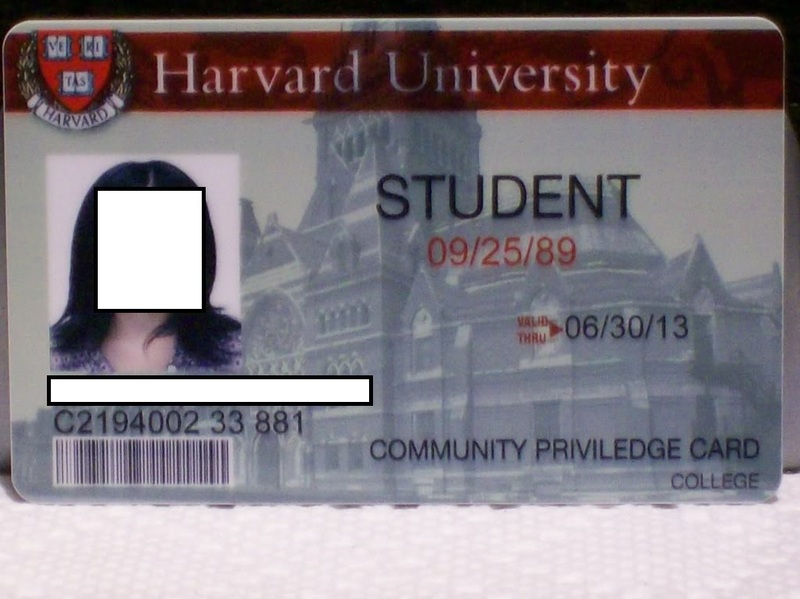 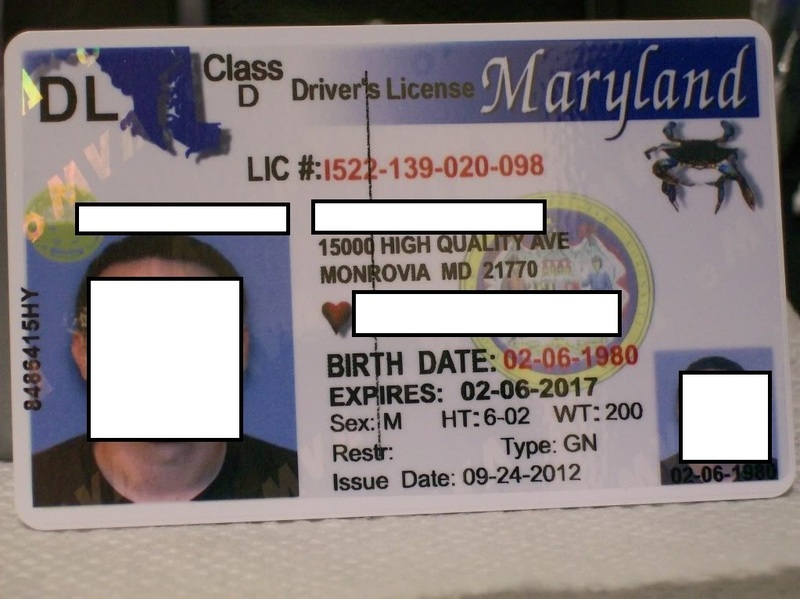 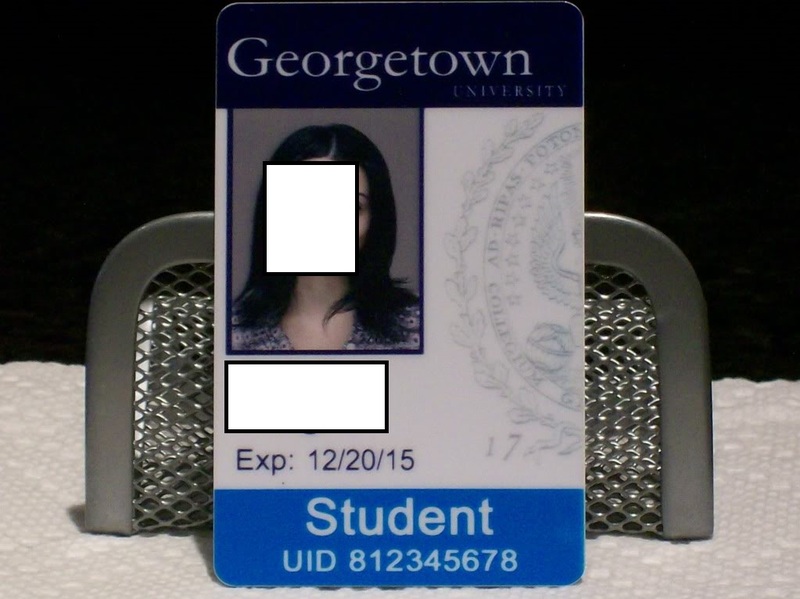 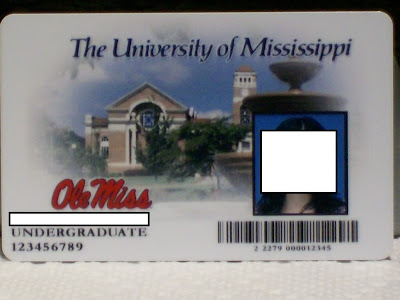 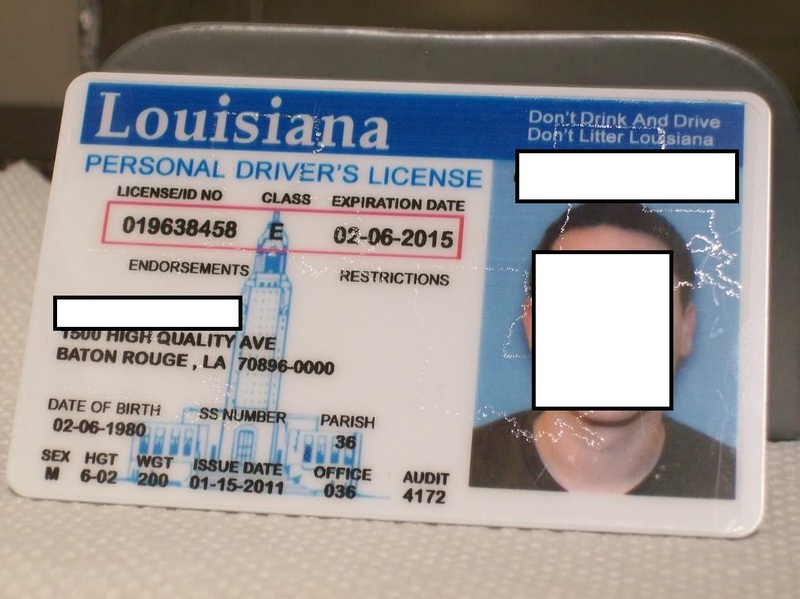 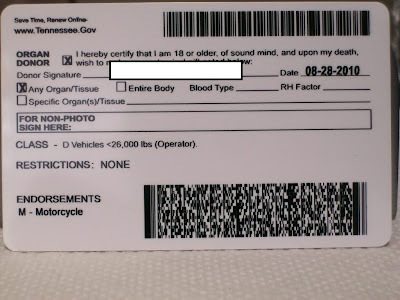 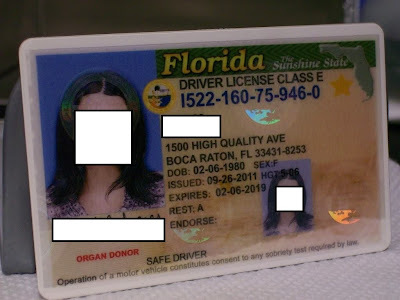 Offering fake plastic driving licenses for over 25+ U.S States, including student IDs for major U.S Universities for a static price of $150, the vendor not just currently outperforms competing vendors in terms of quality in this particular market segment -- within the cybercrime-friendly community in question -- but also, is already receiving recommendations from other cybercriminals to raise the price of his underground market 'asset', indicating penetration pricing in action. 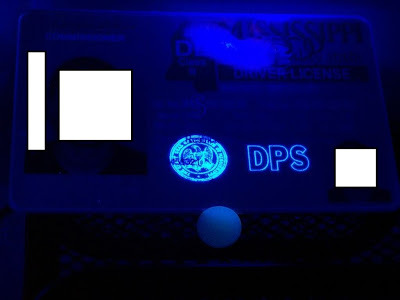 Payment methods accepted? Bitcoin, Western Union and Moneygram. 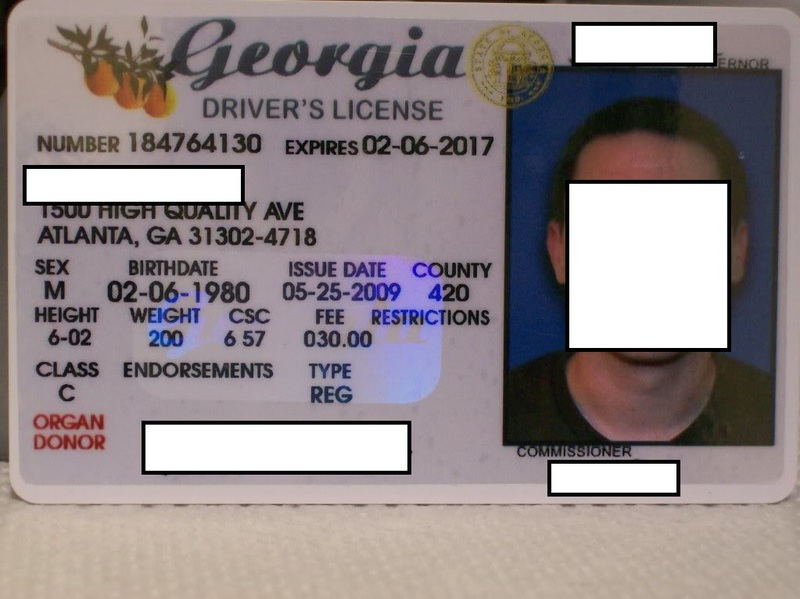 [VENDOR's NAME REDACTED] has over 25+ states on tap, along with 'secondaries' to offer, all of of which and are high quality, meaning in-state without issue, in most cases. 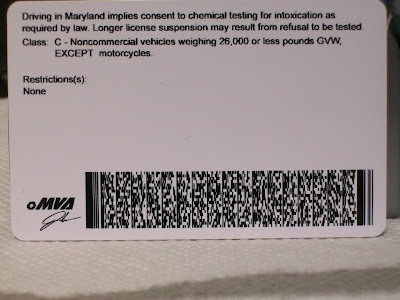 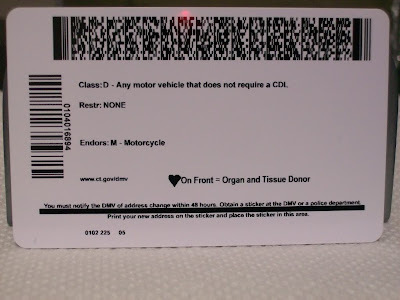 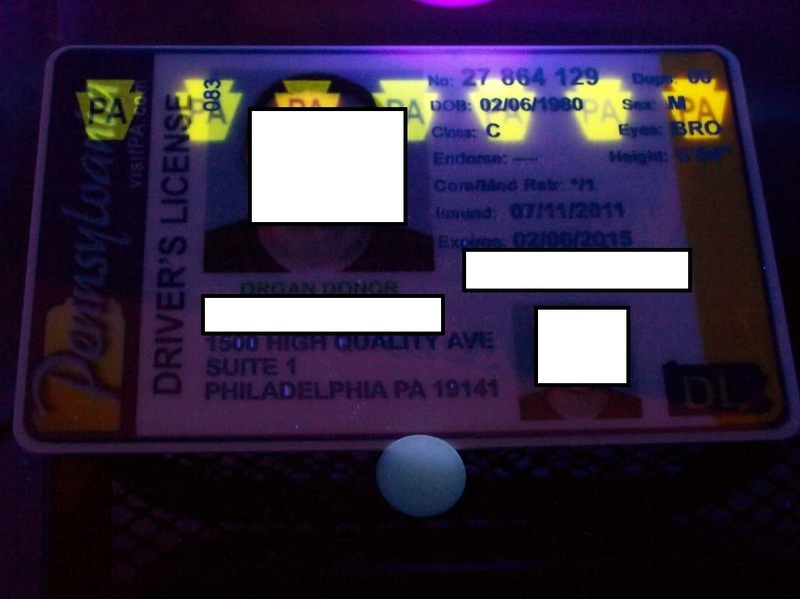 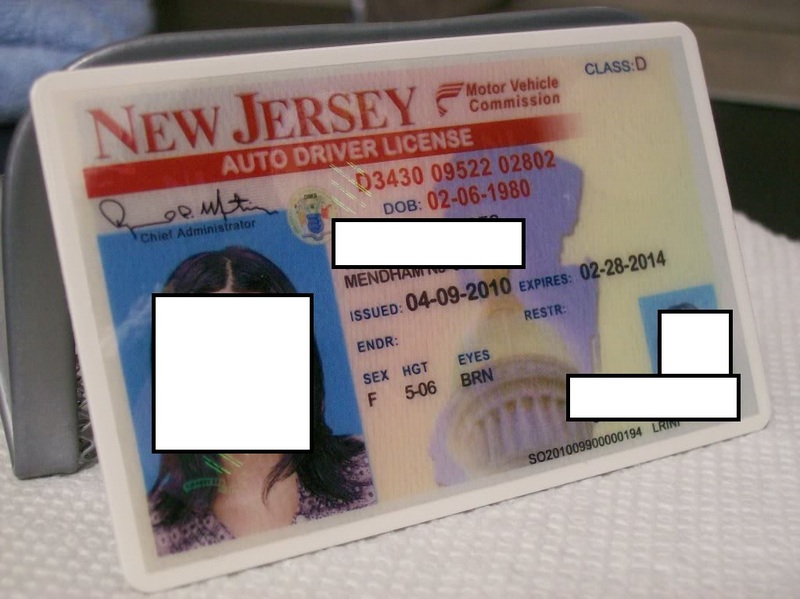 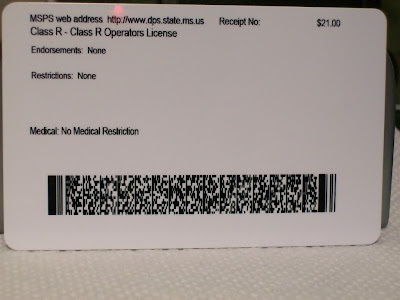 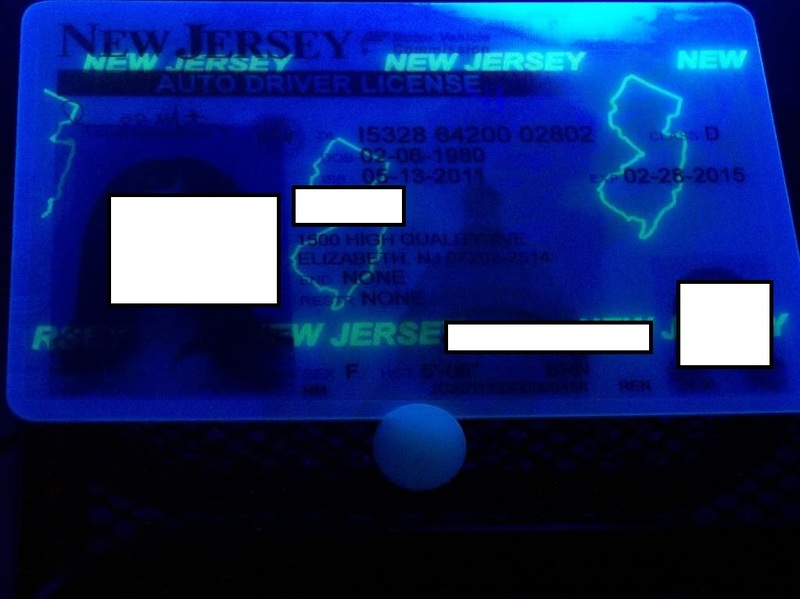 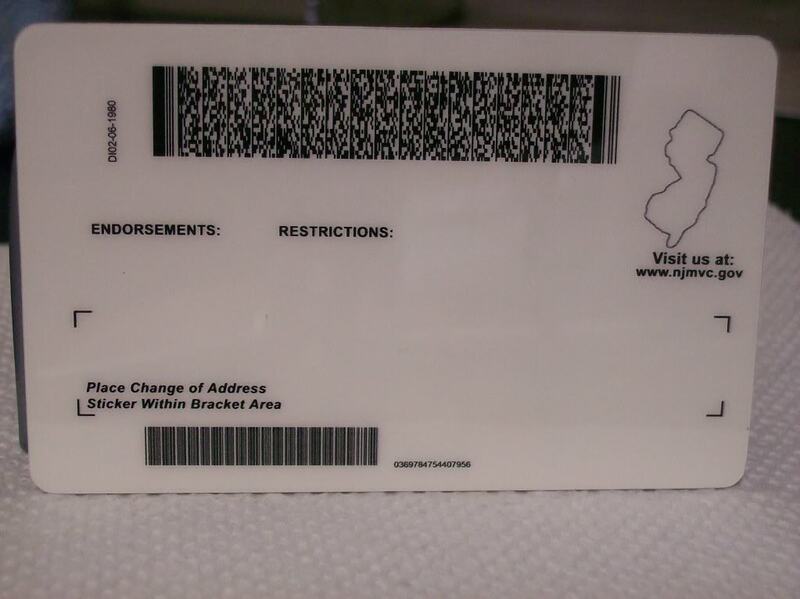 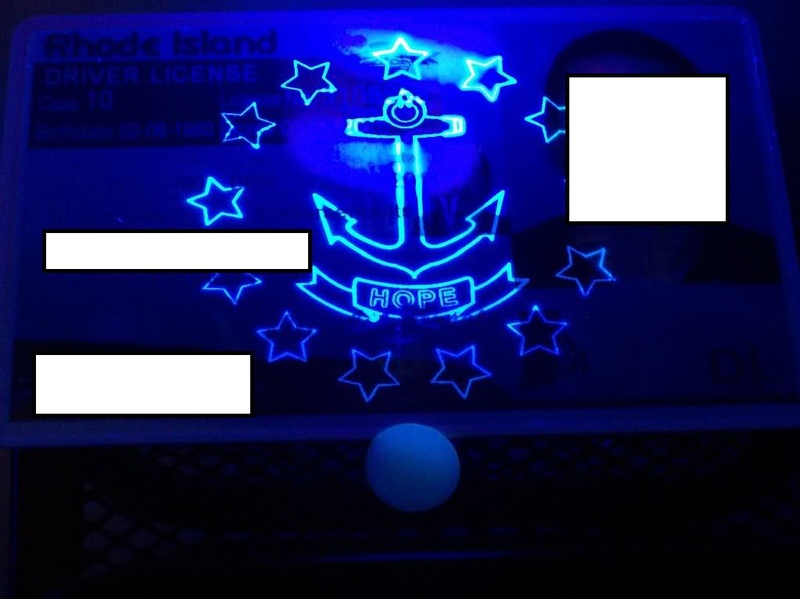 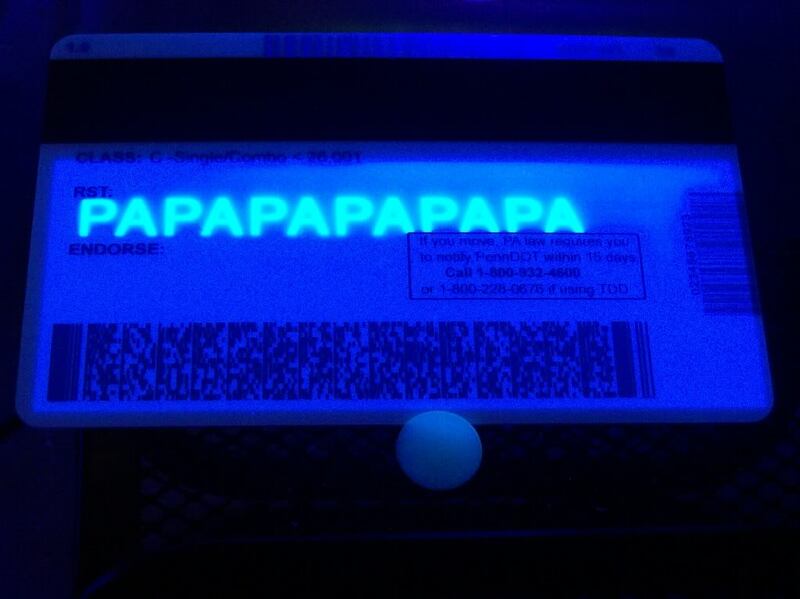 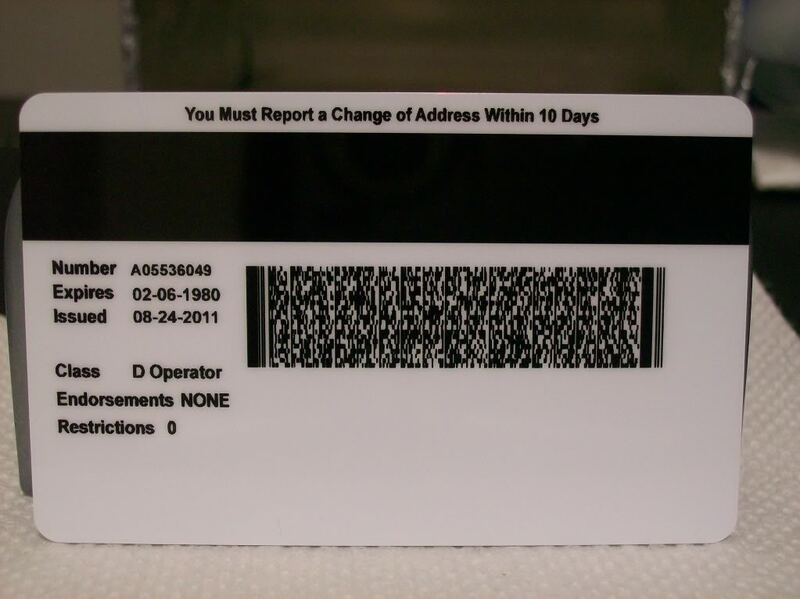 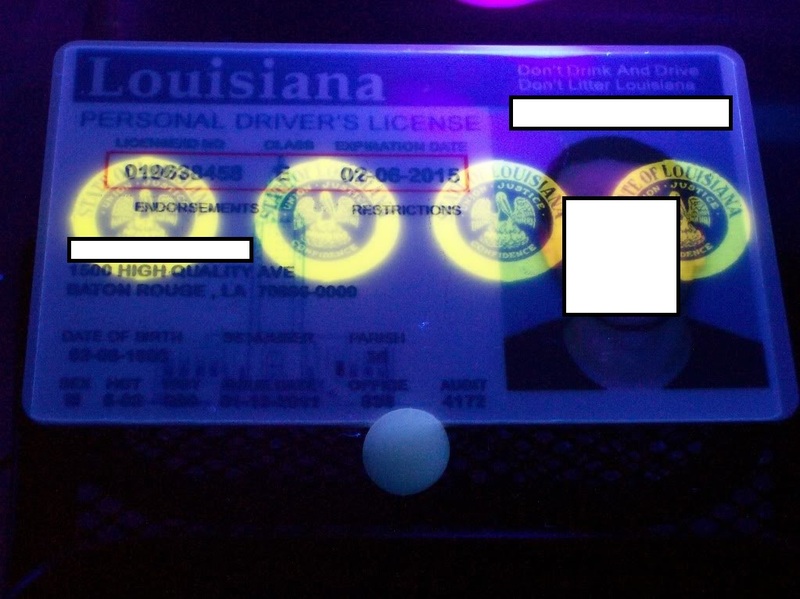 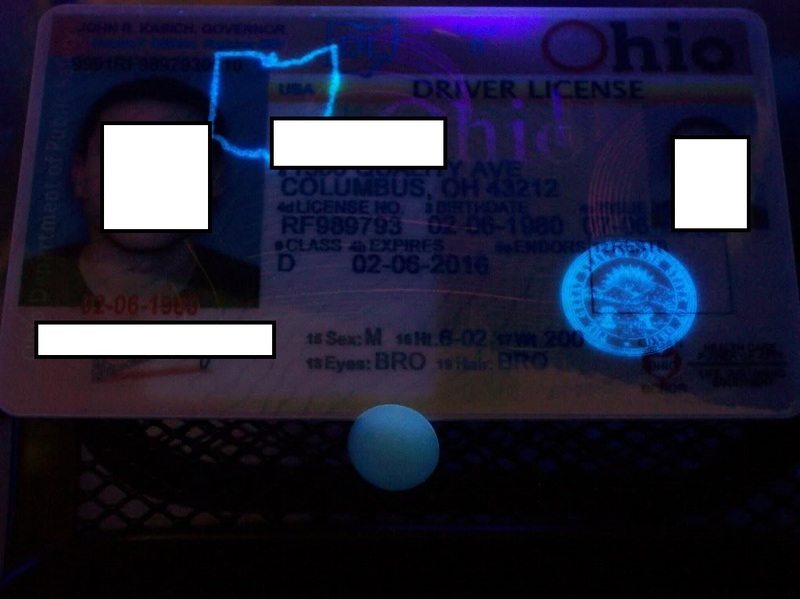 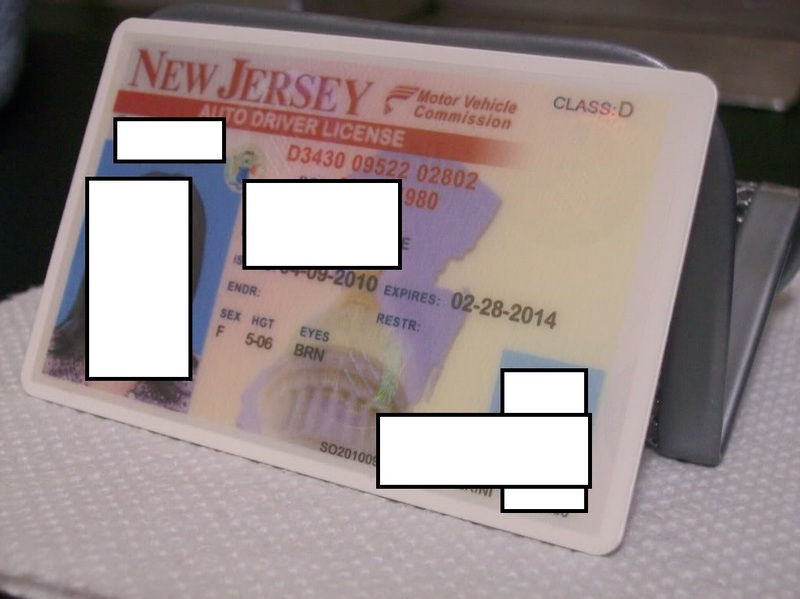 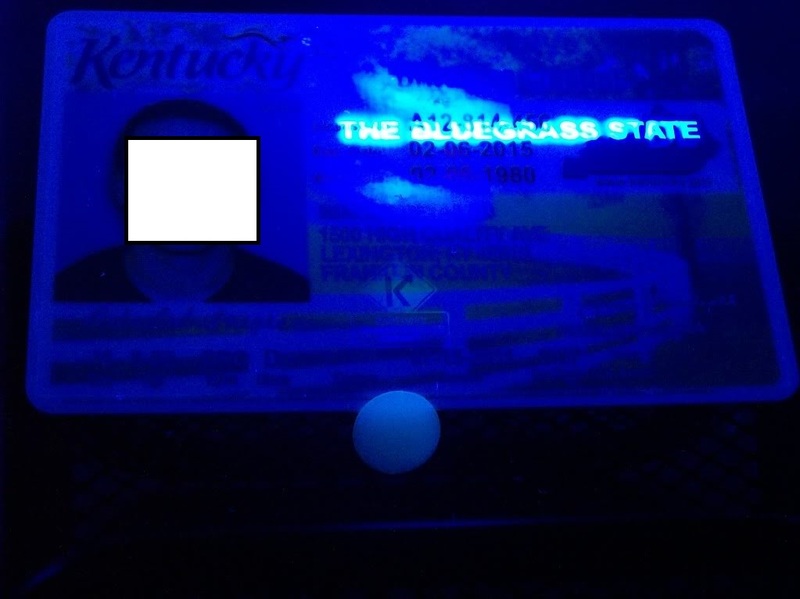 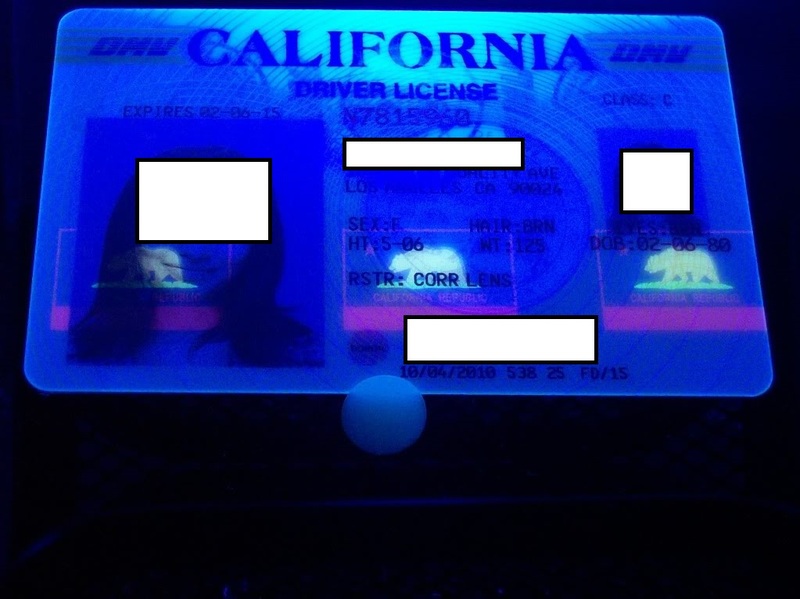 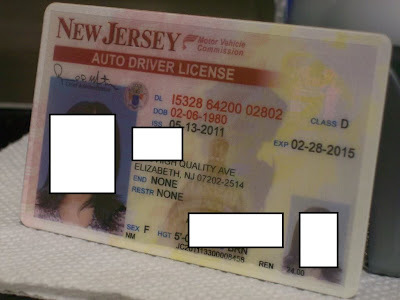 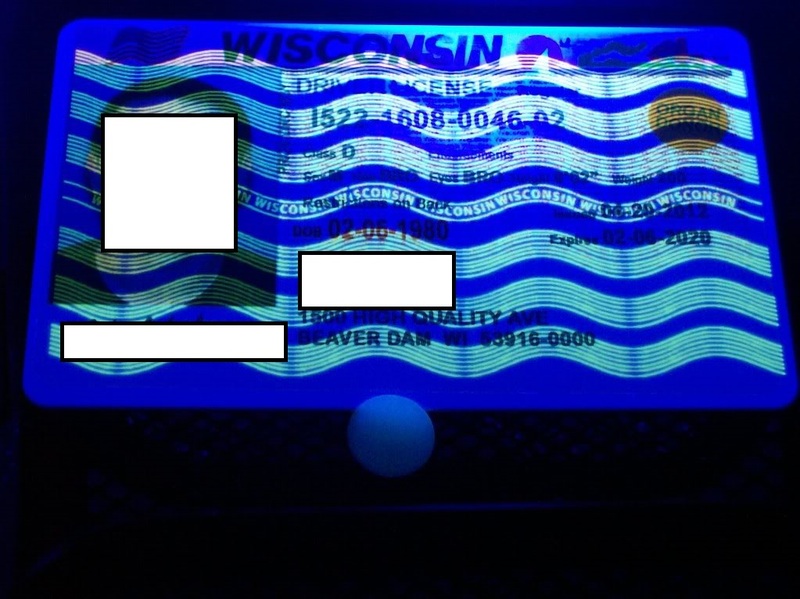 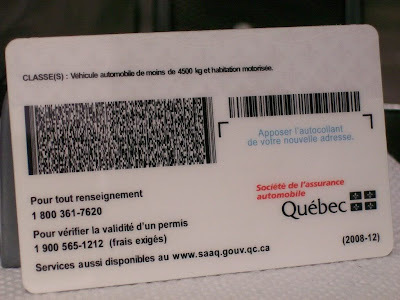 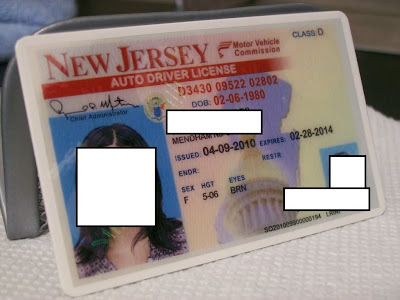 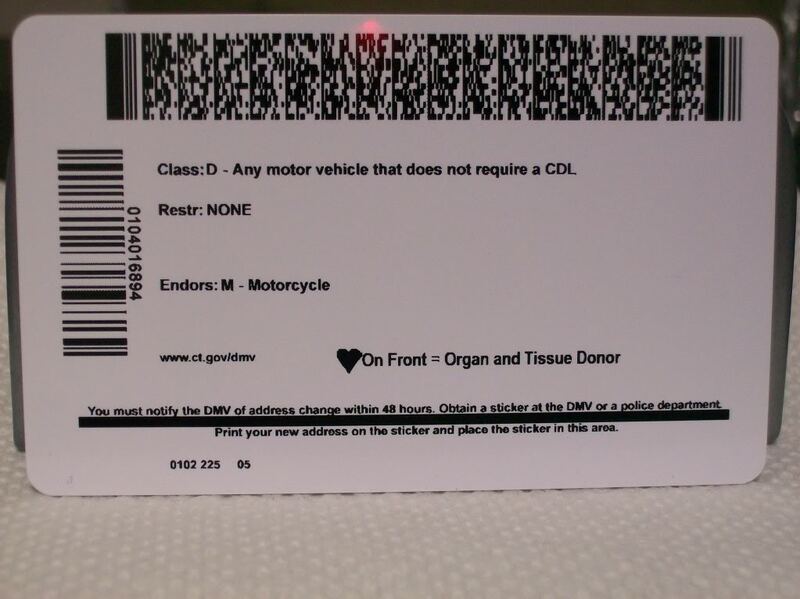 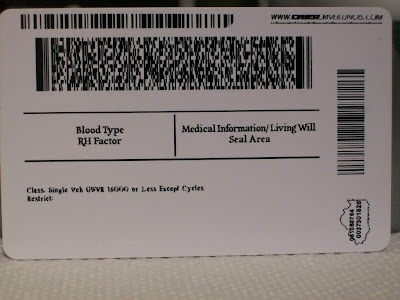 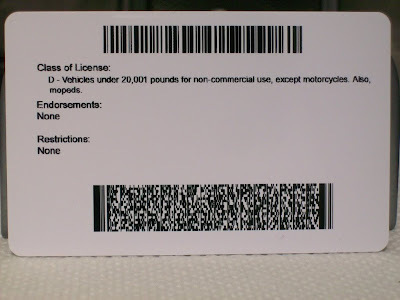 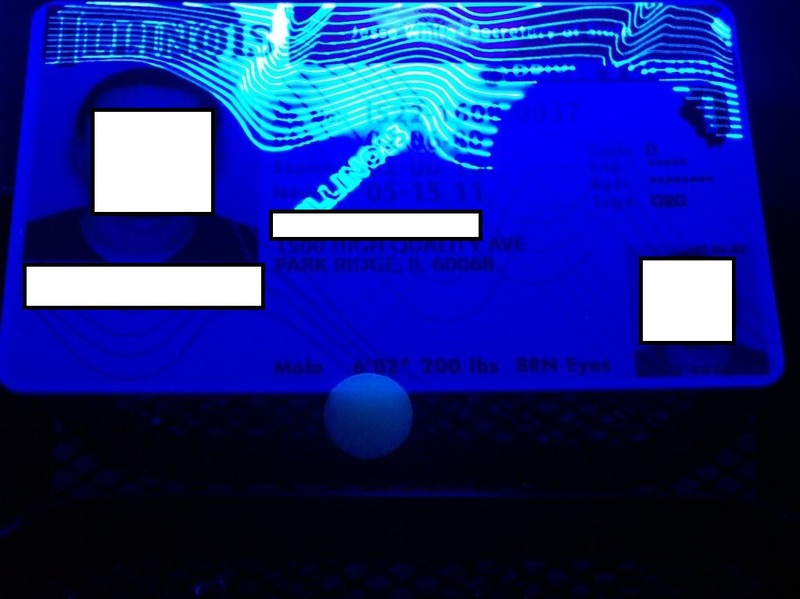 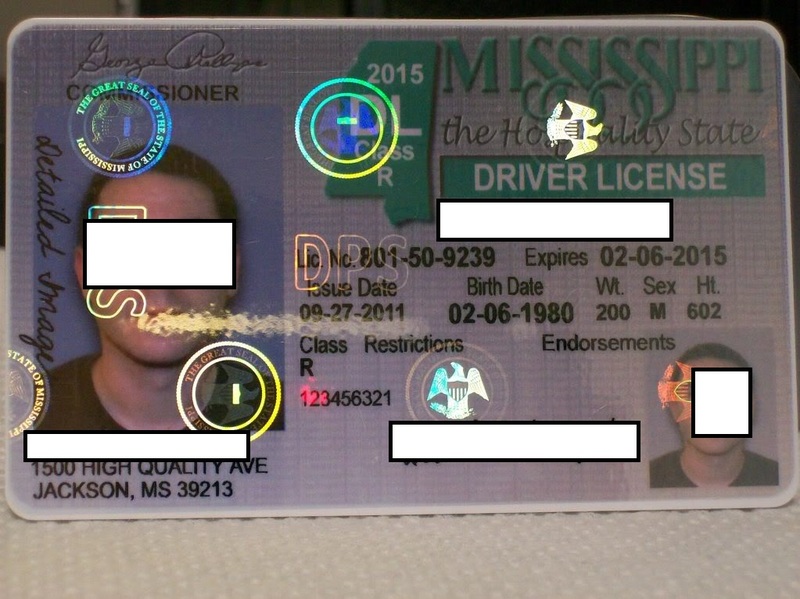 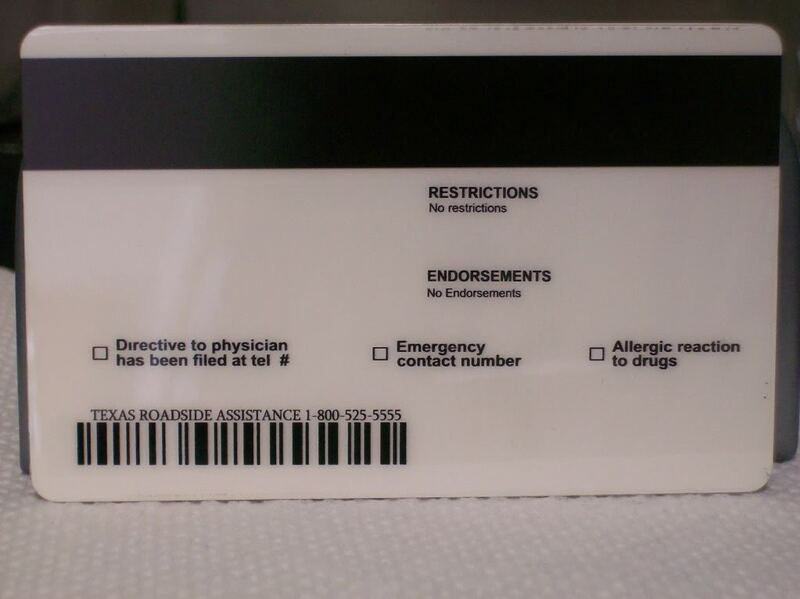 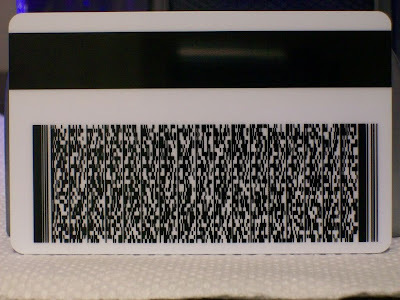 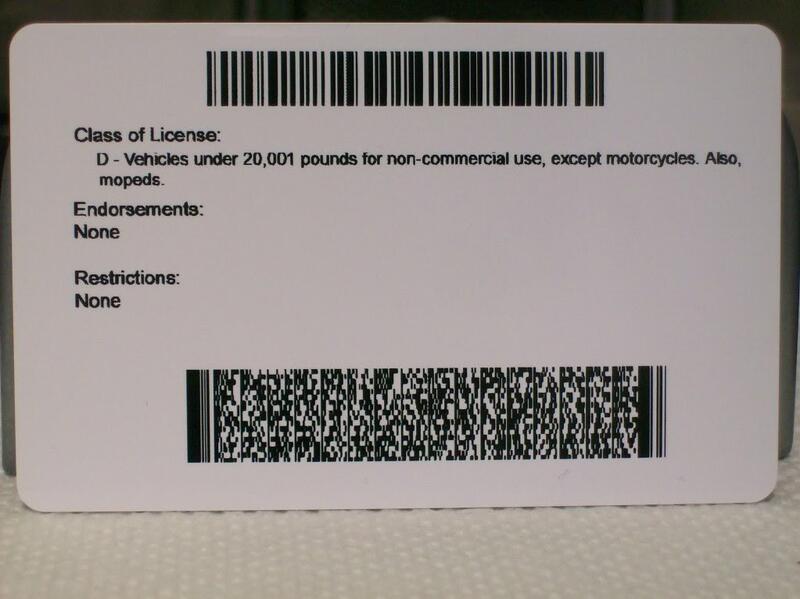 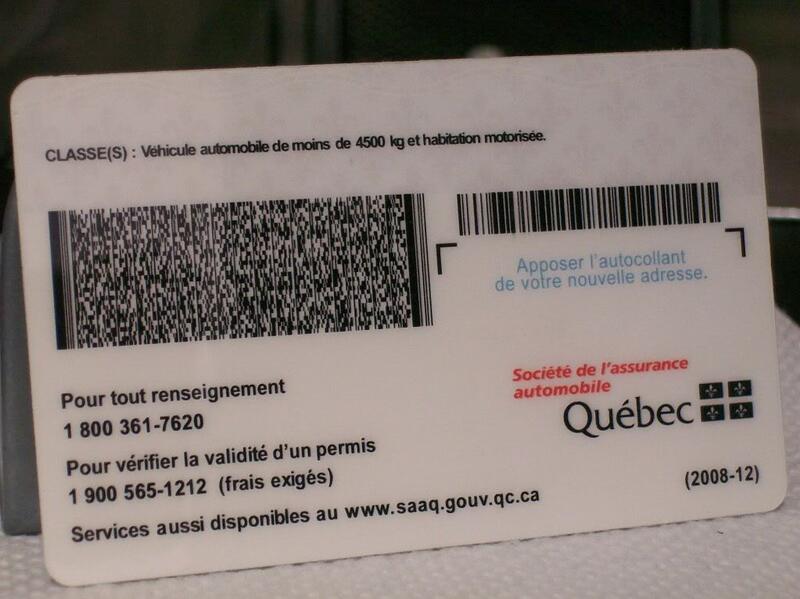 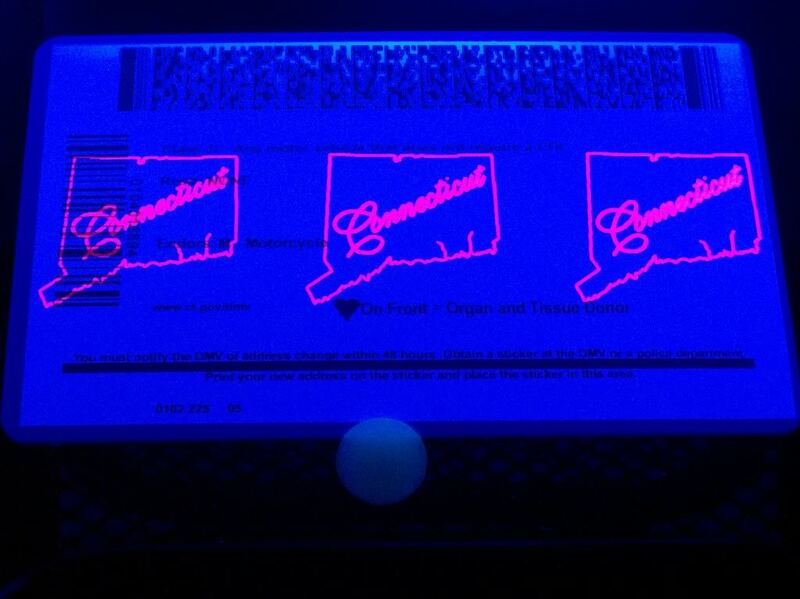 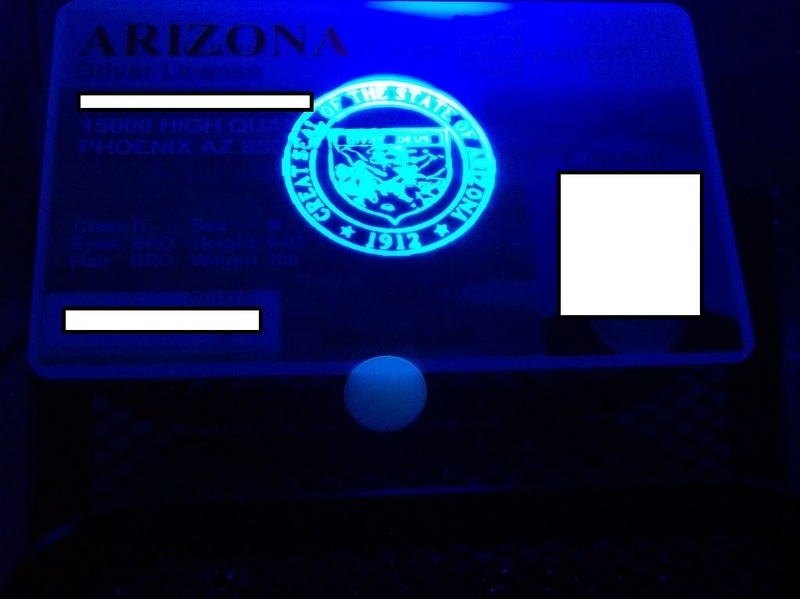 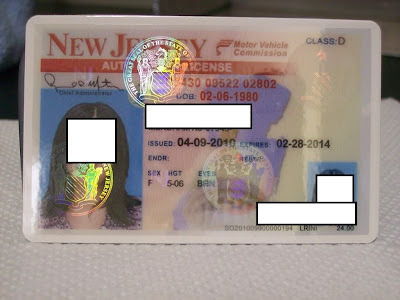 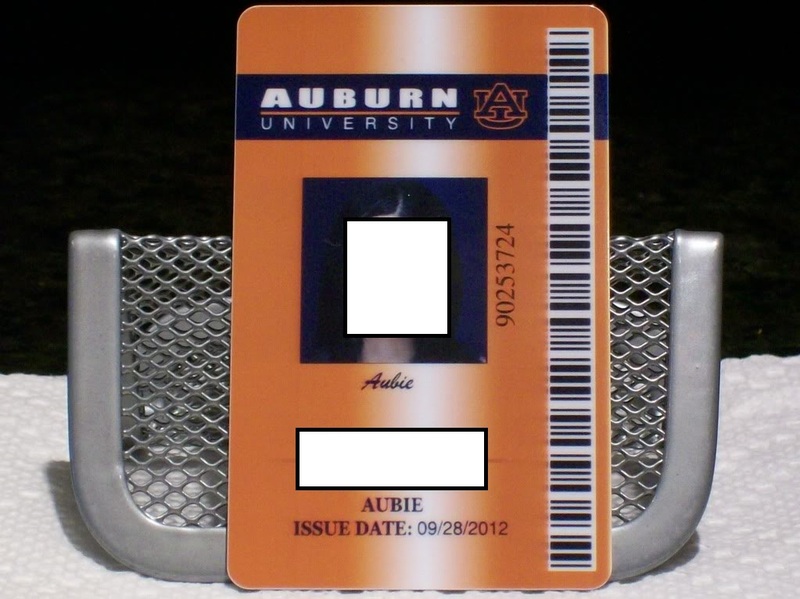 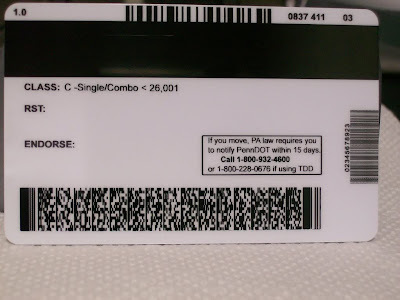 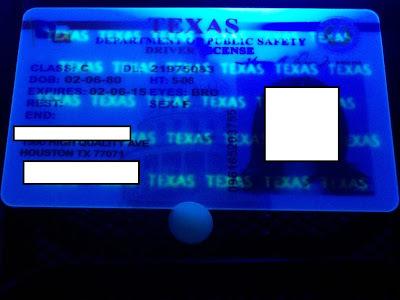 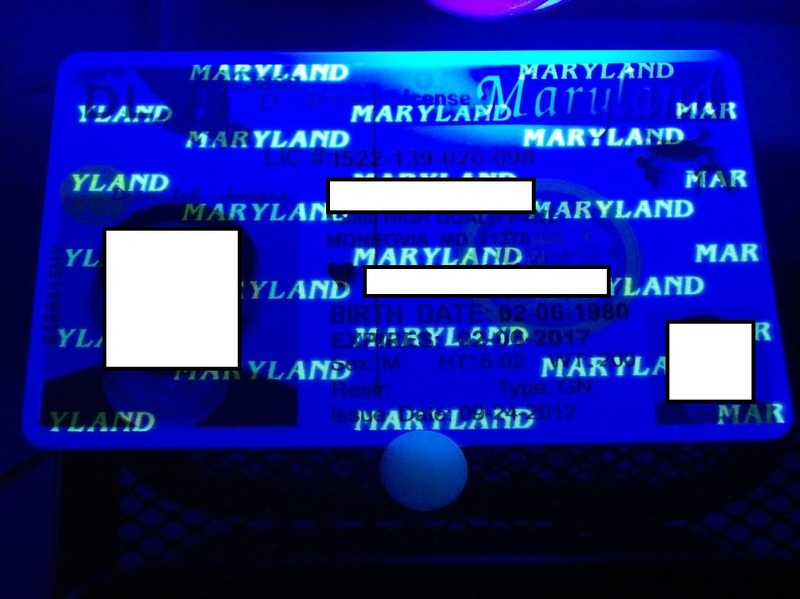 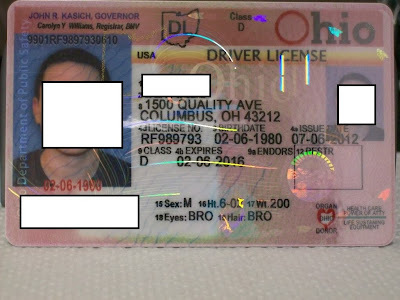 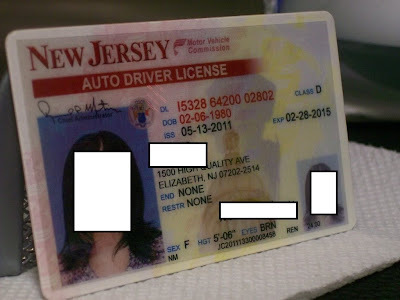 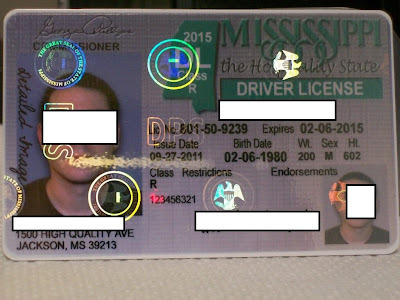 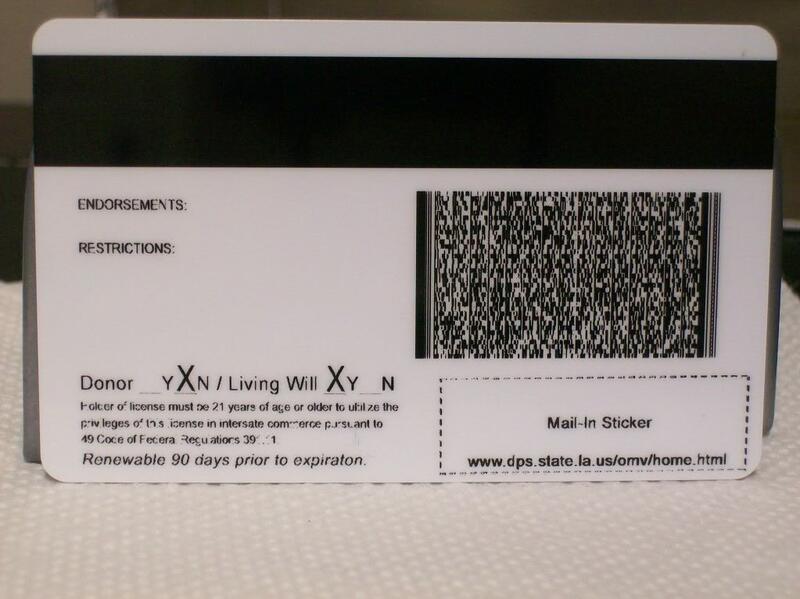 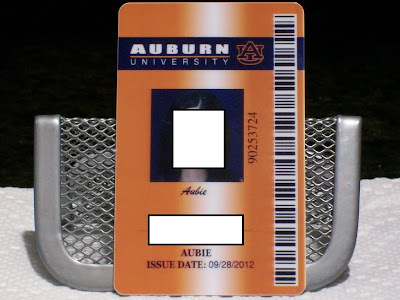 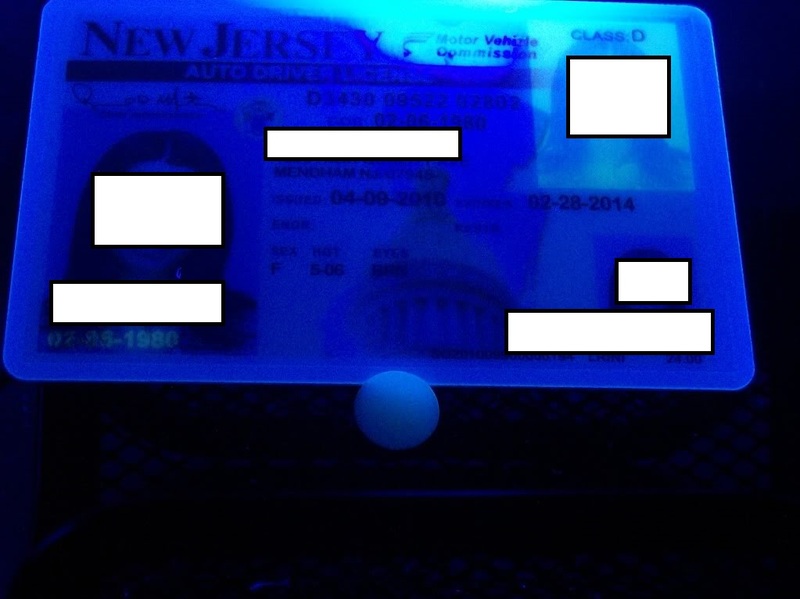 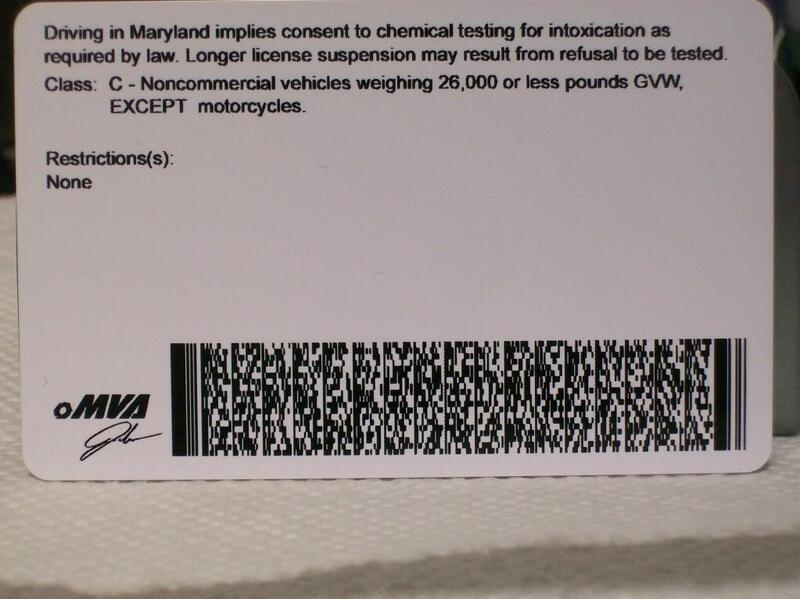 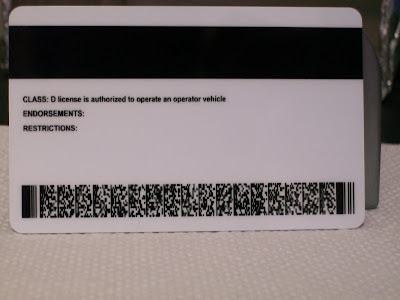 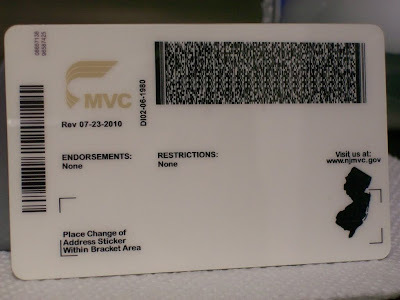 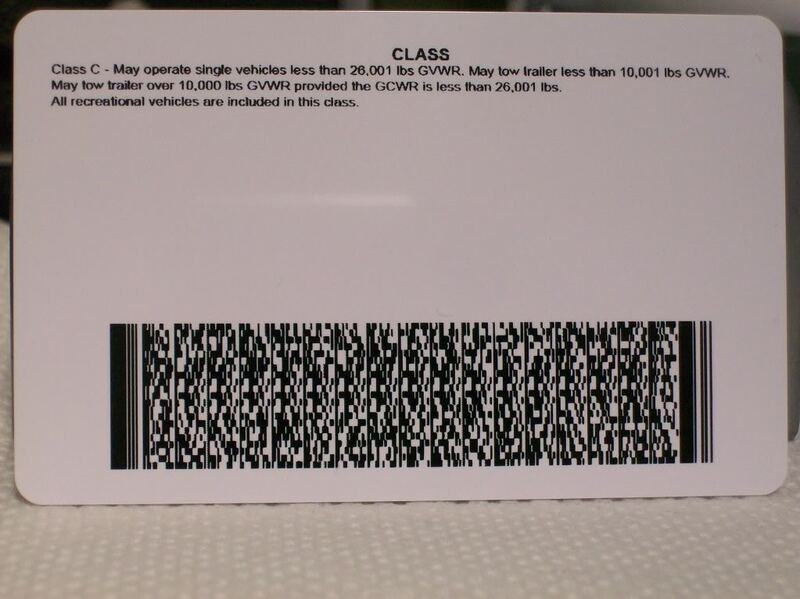 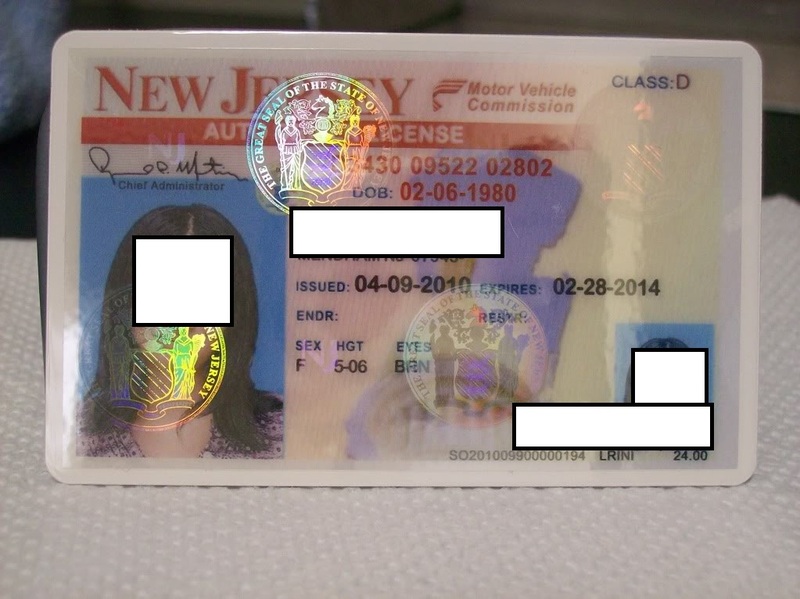 All IDs contain UV (where applicable as some states don't), multispec-hologram, 1D/2D barcode and/or magstripe that will scan/swipe to read DMV/AAMVA license standard. Scanned passport picture - no webcam pictures can be accepted. 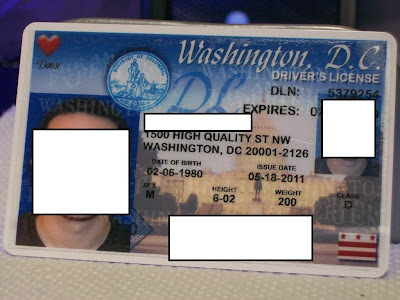 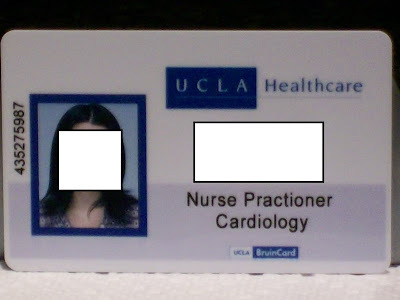 If you cannot get a real passport picture and have a decent camera, please take a pic from the chest up against a white background/drywall with the flash 'ON'. 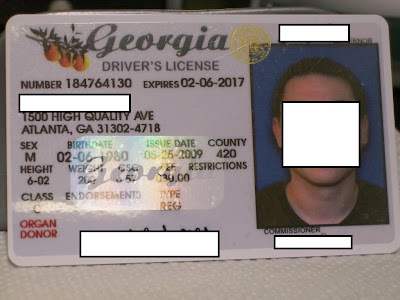 I will handle the cropping aspect. 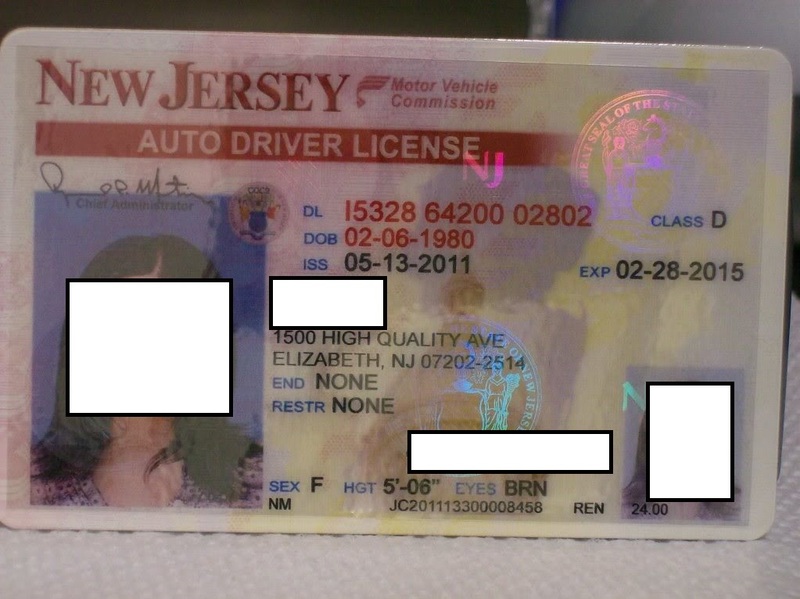 Also try to have good lighting and when scanning use high resolution. 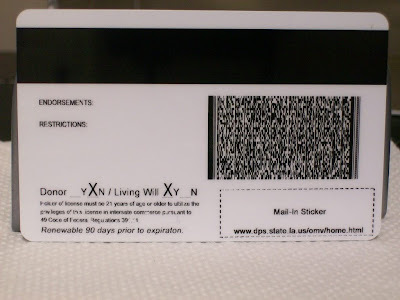 You may also upload a signature. 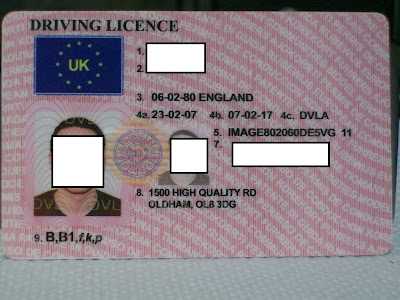 I ask that this be written using a black sharpie style pen to achieve the best results. 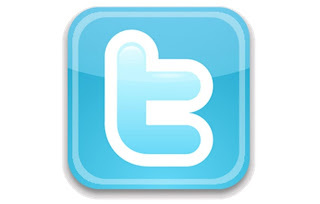 You may upload this info to sendspace.com or the file-sharing site of your choosing and forward me the download link. 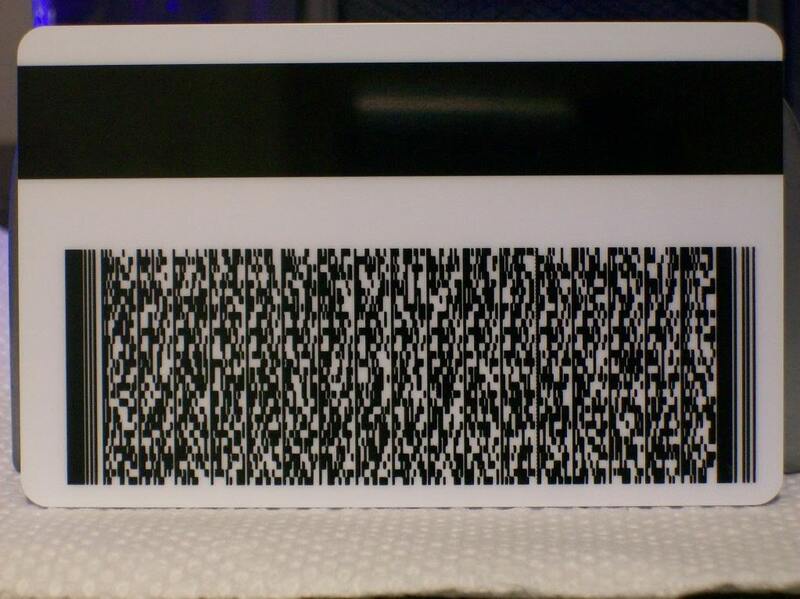 I will confirm reception via email and you order will begin processing. All IDs are 150USD with incentive to group buys. Payment can be made via BTC, WU, Moneygram. 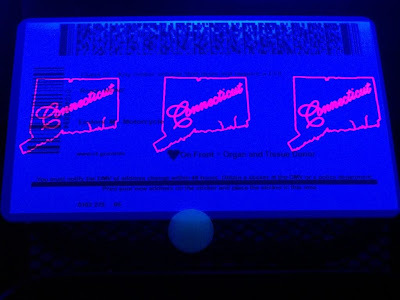 Payment will be collected upon completion and approval of your order. 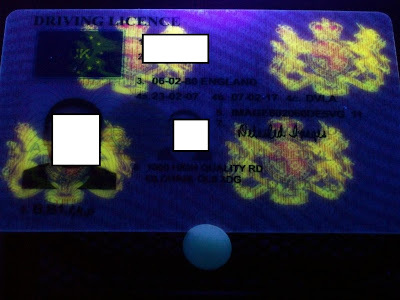 The market for fake passports/IDs/documents is prone to flourish, as more cybercriminals demand both, scanned, and plastic fake IDs to be later one abused in related fraudulent schemes. 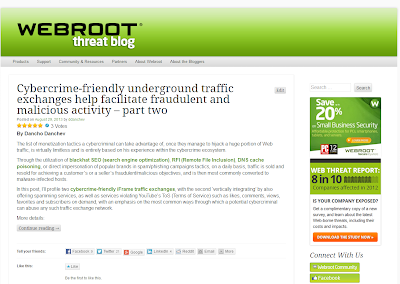 Naturally, the market is quick to supply, and those who excel in their Operational Security and quality of the underground market 'assets', will begin occupying a decent market share within this underground market segment.